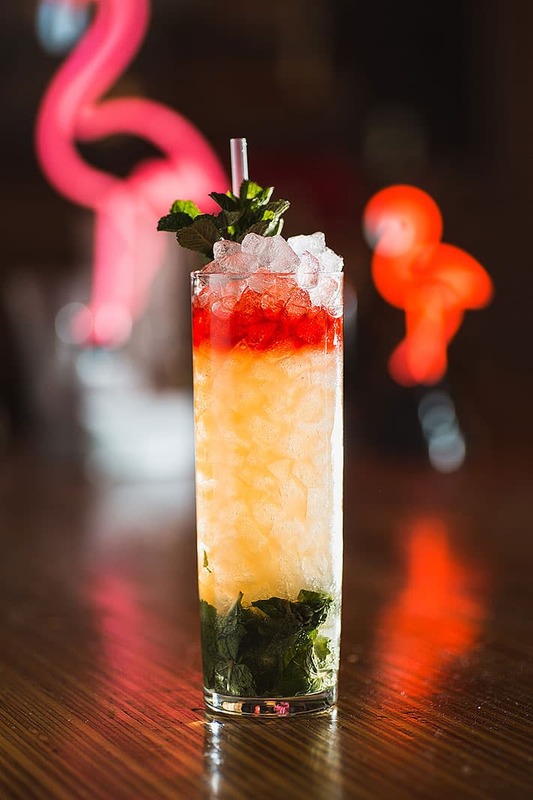 So many cocktails, so little time. 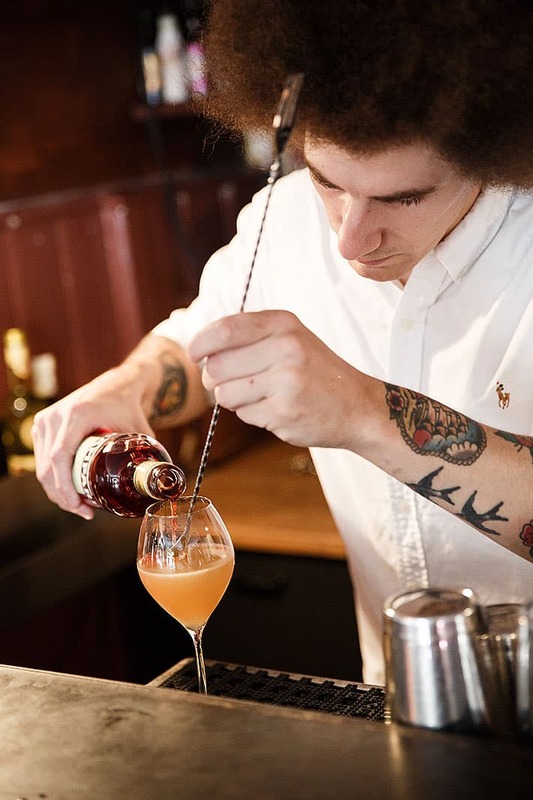 Cocktails have sure come a long way from the classic old-fashioned - and although we are die-hard fans - over the past few years Stockholm bartenders have made mixology into an art form. 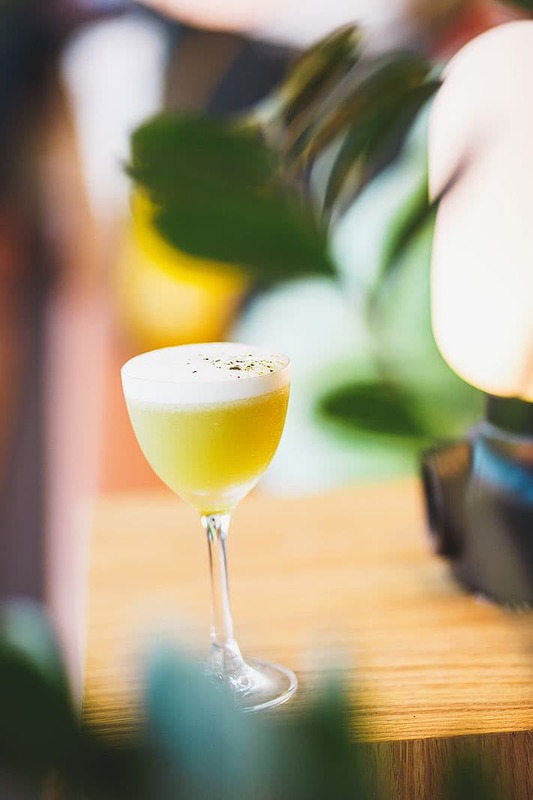 Whether you're on the lookout for an artisanal cocktail, cool speakeasy joint or sophisticated lounge, Stockholm's best cocktail bars do it all. 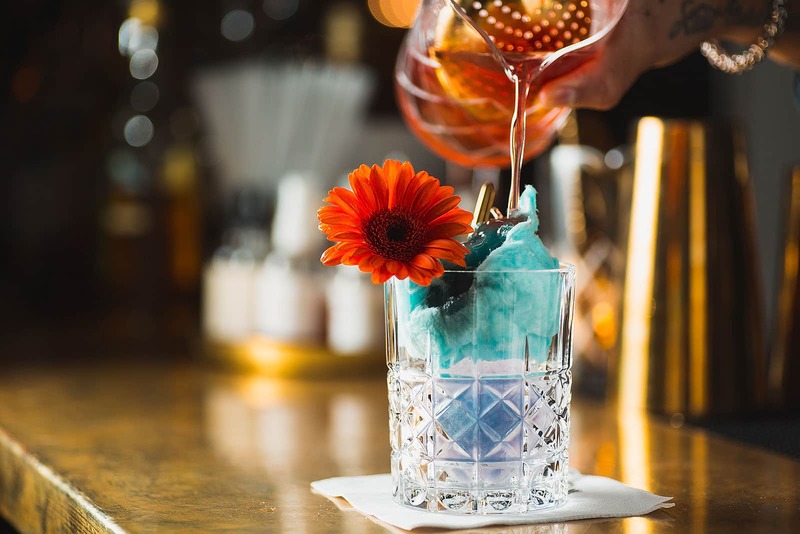 So here you are - our guide to the best cocktail bars in Stockholm that will blow your mind. 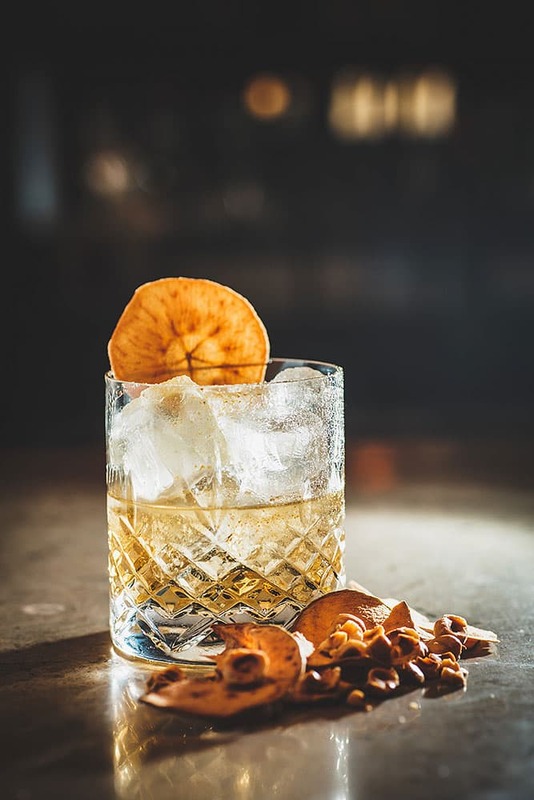 We wouldn't blame you for wanting to visit every cocktail bar in Stockholm on the list – just don't do it all in one night. 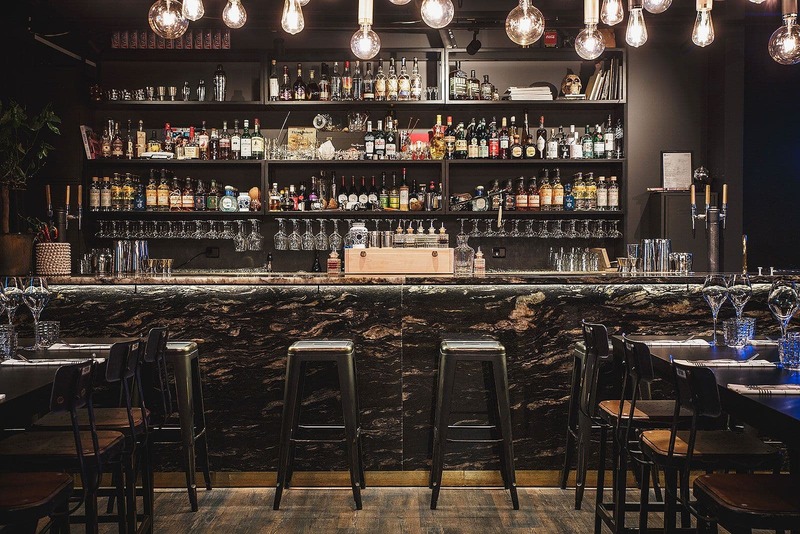 This hip concept combines an award-winning NYC-cool speakeasy bar with a restaurant and barbershop. 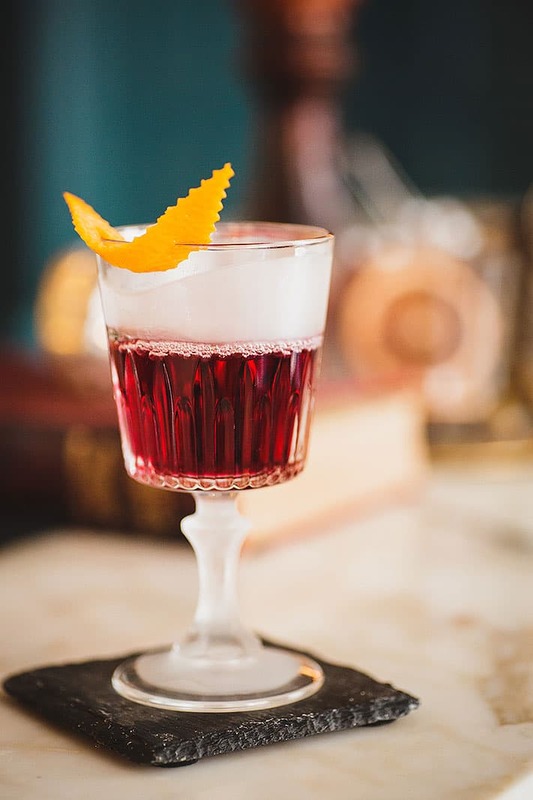 The bartenders - some of the best in the city - create innovative cocktails behind the ornate bar. The casual, unpretentious ambiance enhances the experience. 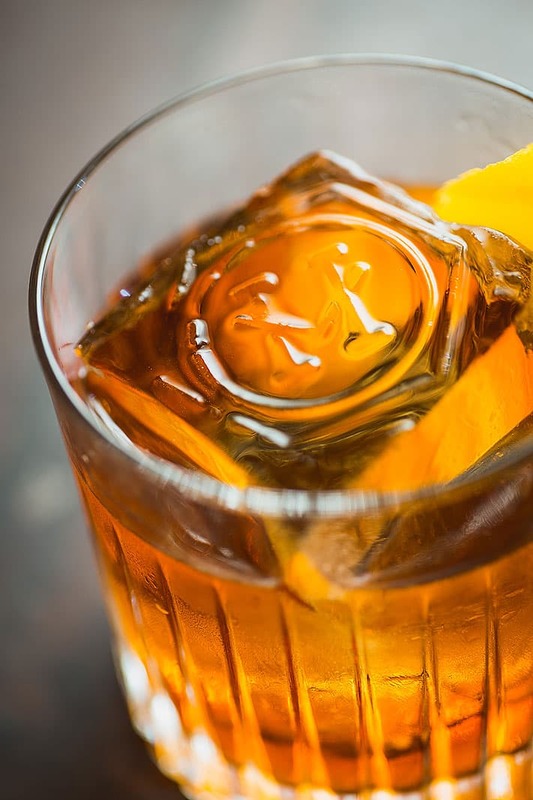 Tiki bar or an old fashioned? 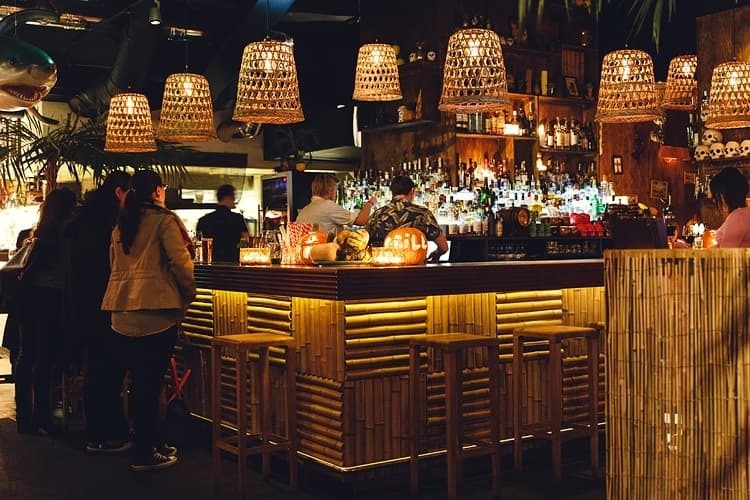 Grill's reworking of a Tiki bar does the trick. 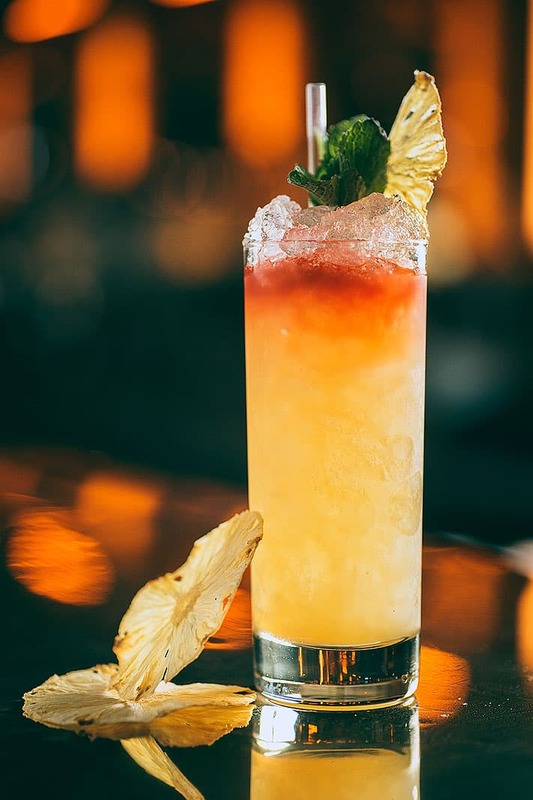 The bartenders at Koko-Mo serve classic rum drinks and modern Tiki-inspired cocktails spiked with tequila, mescal and pisco. 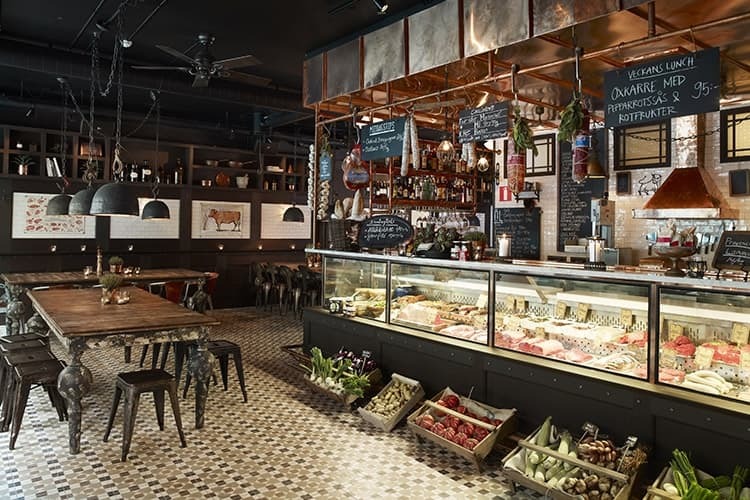 Its sibling Köttmästarn, just round the corner, fuses influences from Europe, Cuba and the USA. 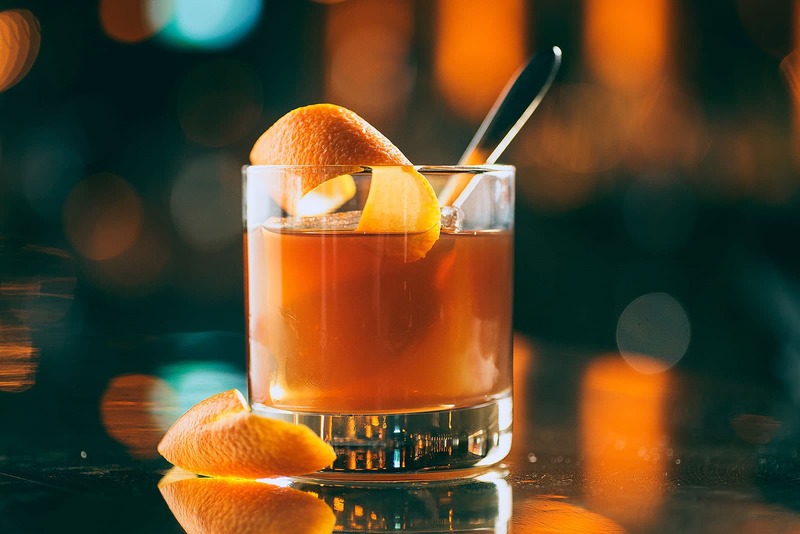 If you're in the mood for an Old Fashioned or Paw of the Wolf mixed with vodka, cranberry and punch you've come to the right place. 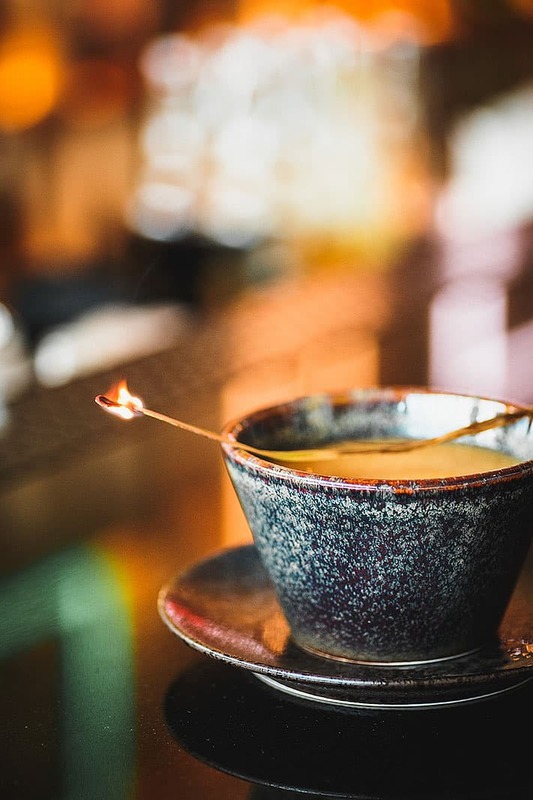 Ling Long, housed in Story Hotel, pays homage to its Asian heritage with modern cosmopolitan vibes and casual ambiance. 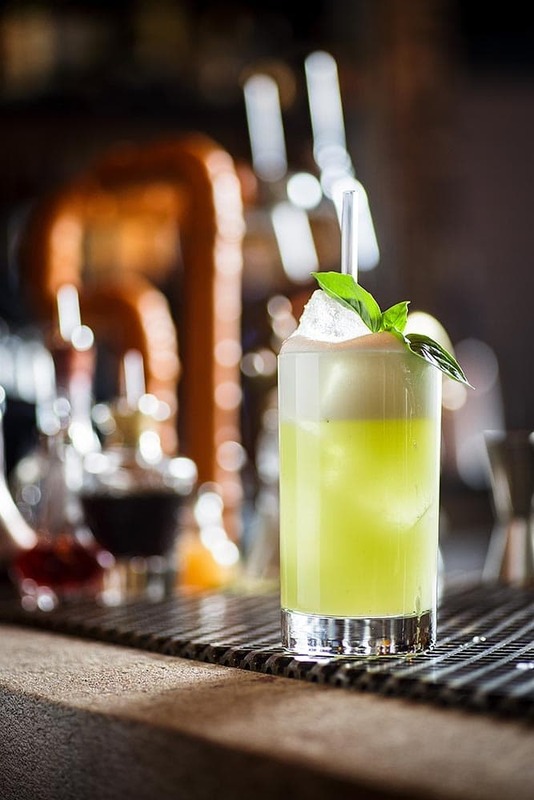 The bar offers innovative cocktails with exotic flavours. Guests are frequently entertained by DJs and live bands. 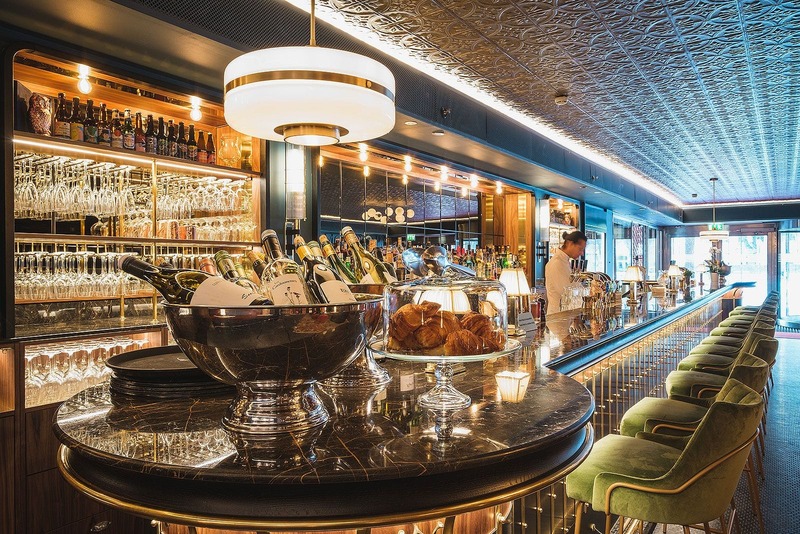 Chicest bar in the city? 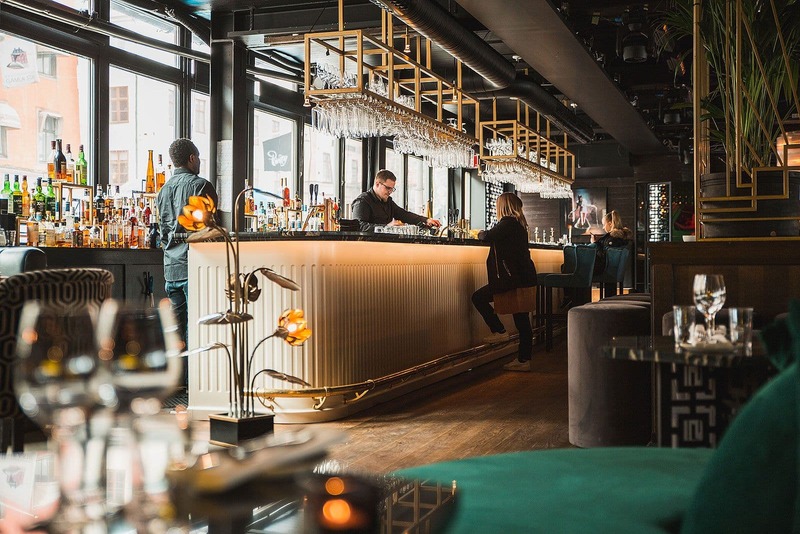 The distinguished Royal Opera House has been transformed into a contemporary melting pot, boasting beautiful interior and outstanding views. 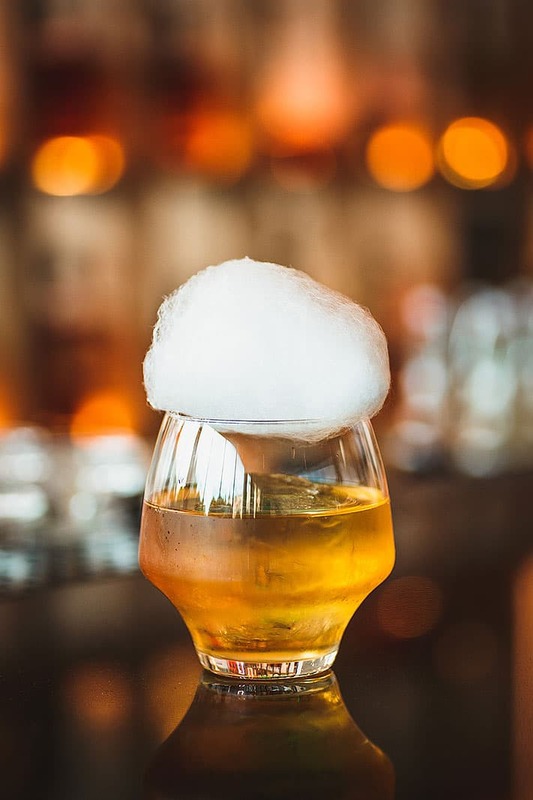 The cocktail bar fuses timeless classics with an experimental edge, as well as offering an impressive array of artisanal lager and ale. 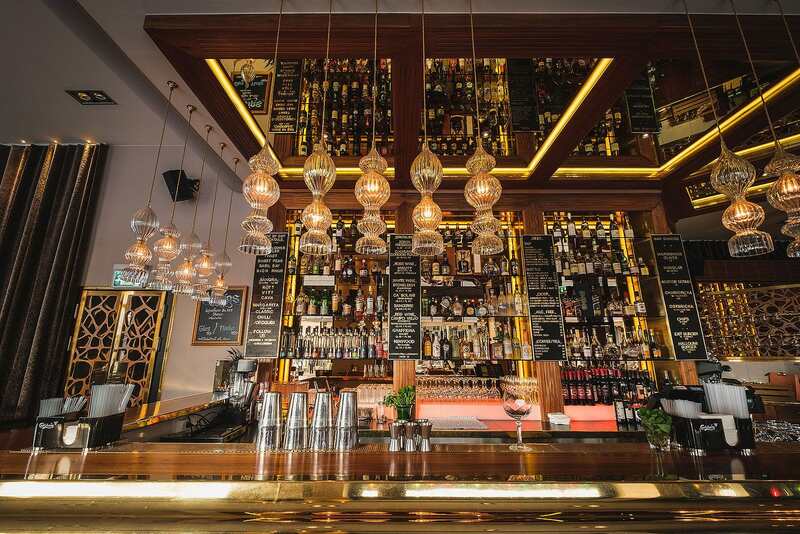 Supper's Cuban and Latin influences are apparent in both the menu and decor. 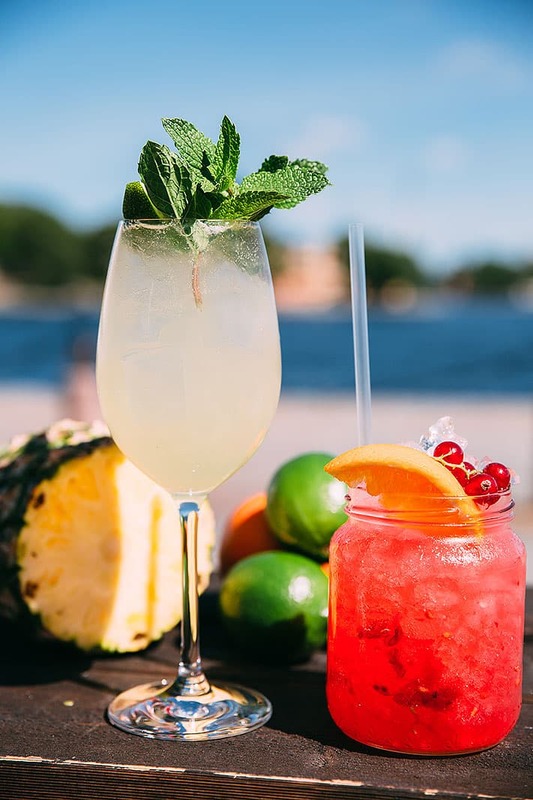 Bartenders mix rum-spiked drinks and refreshing coolers as well as serving champagne and beer. 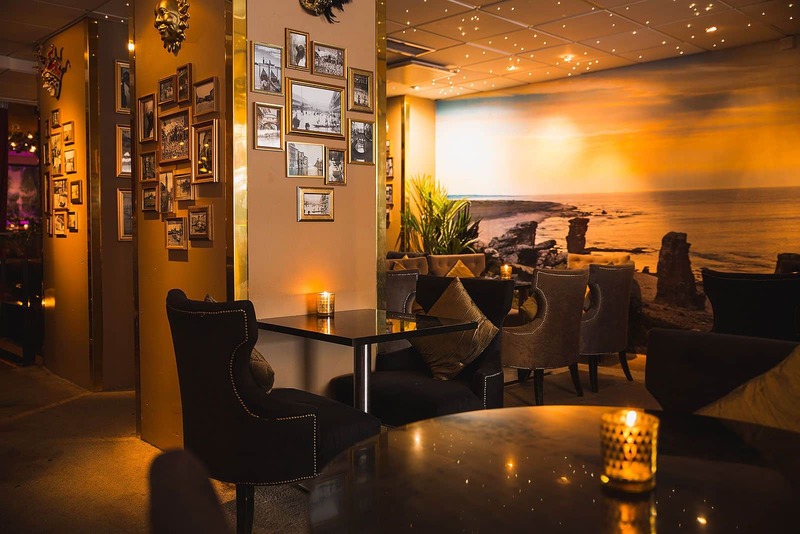 The relaxed ambiance is perfect for casual after work hangouts reminiscent of the Caribbean. Situated on the 25th floor, Himlen's awe-inspiring panoramic city-views are real crowd-pleasers. 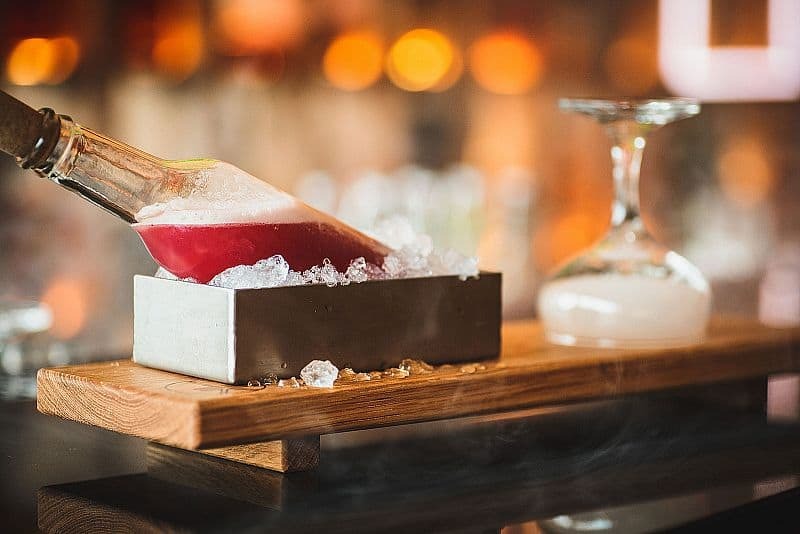 Apart from offering a fine dining experience, this urban restaurant appeals to modern connoisseurs with a penchant for artisanal cocktails. 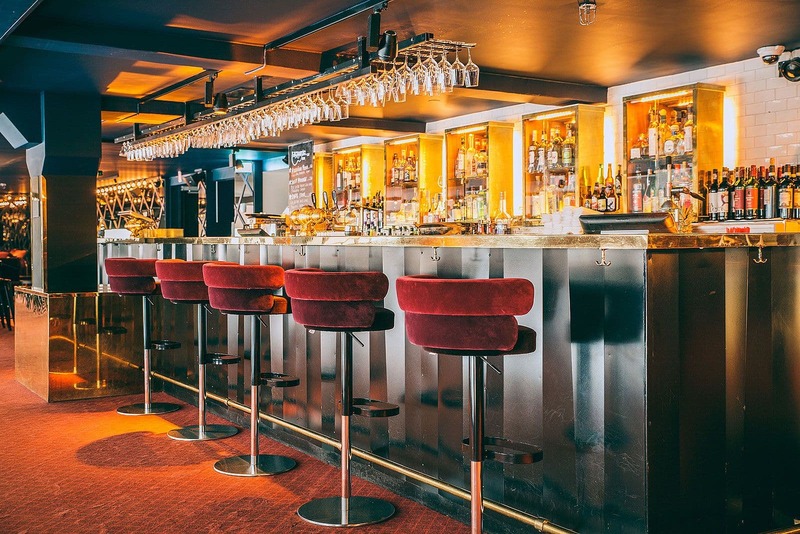 The sky bar is a popular destination after hours. 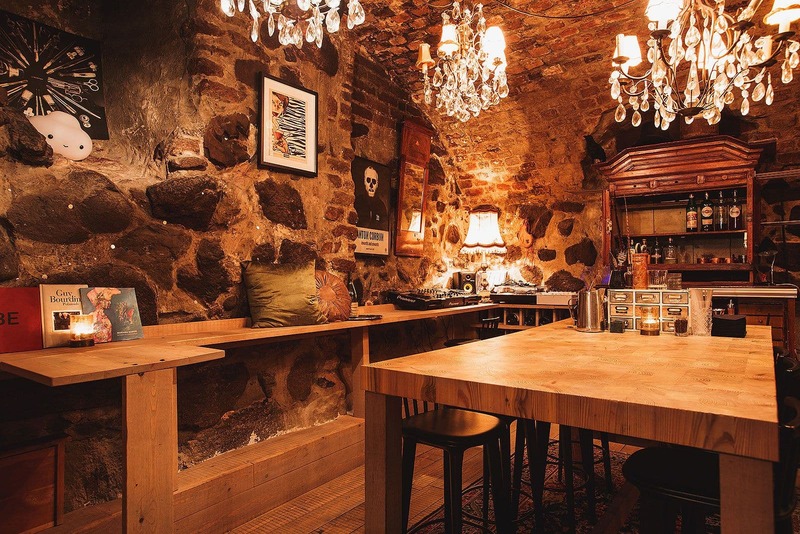 Häktet, which was once an 18th century prison, now houses a restaurant and three different bars, one with a distinct speakeasy feel. 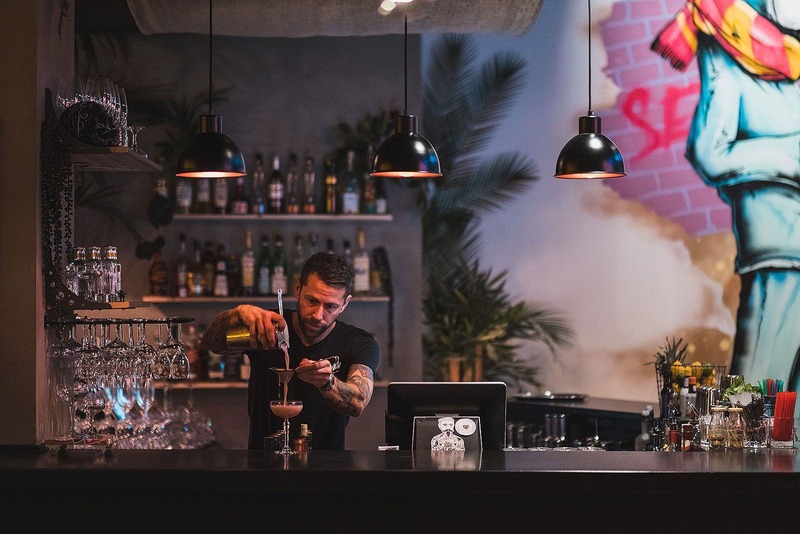 This refined cocktail bar combines living-room style vibes with an experimental cocktail menu and talented bartenders. 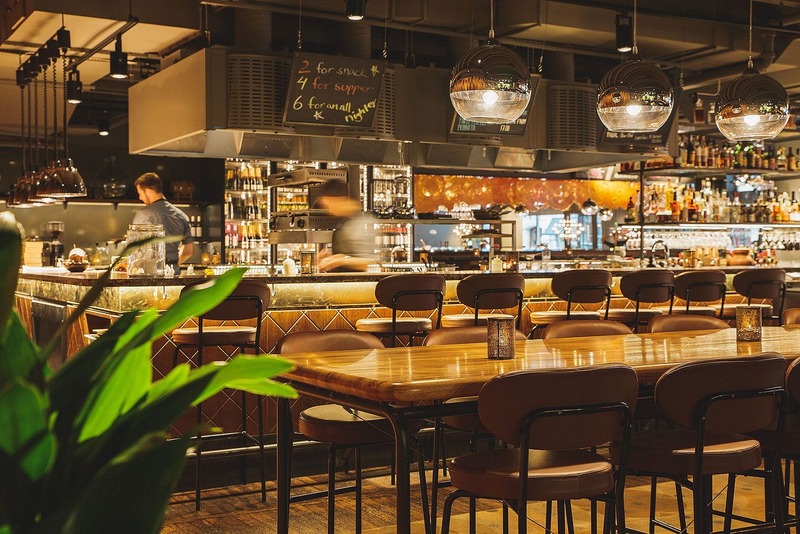 The menu's theme is constantly updated to cater to a wide audience. 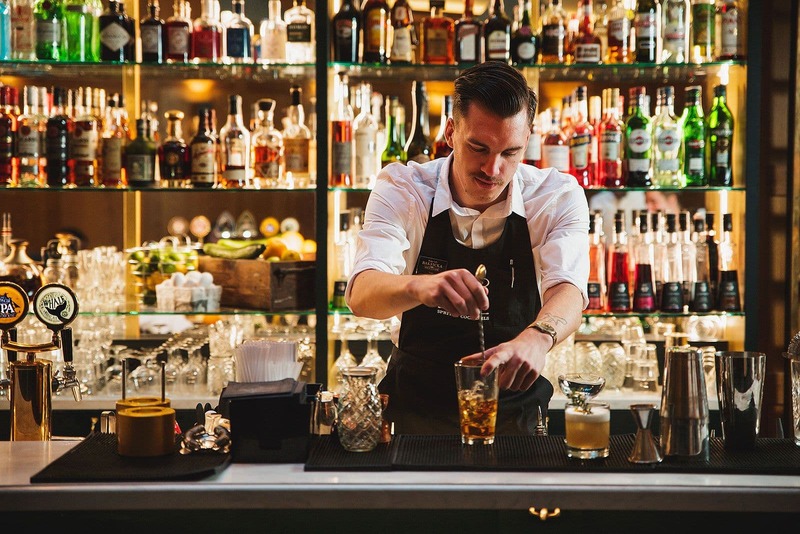 Alongside the Clarion Hotel Amaranten on Kungsholmen you'll find the first bar in Stockholm to serve cocktails on tap - an American concept which has been embraced and brought to Sweden by celebrity chef Marcus Samuelsson. 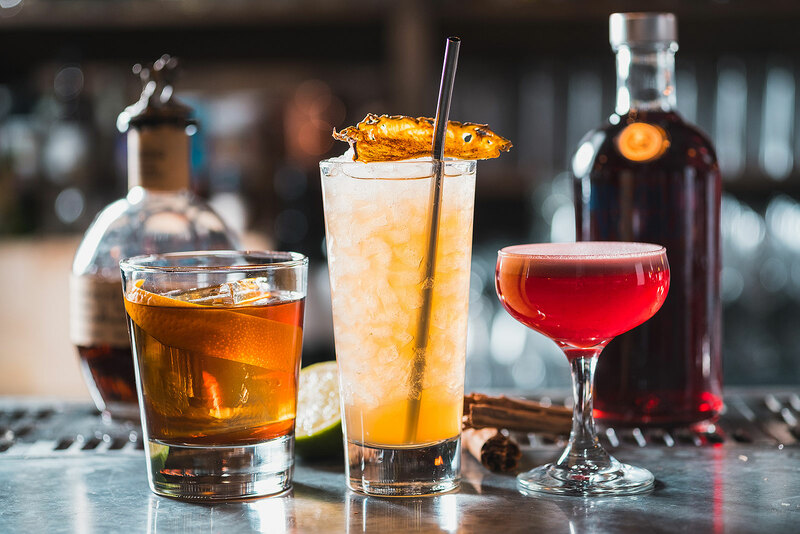 Combine the handmade drinks with creative American-influenced small dishes from the bar. There's a stylish Mad Men feel to the bar, which only adds to the experience. 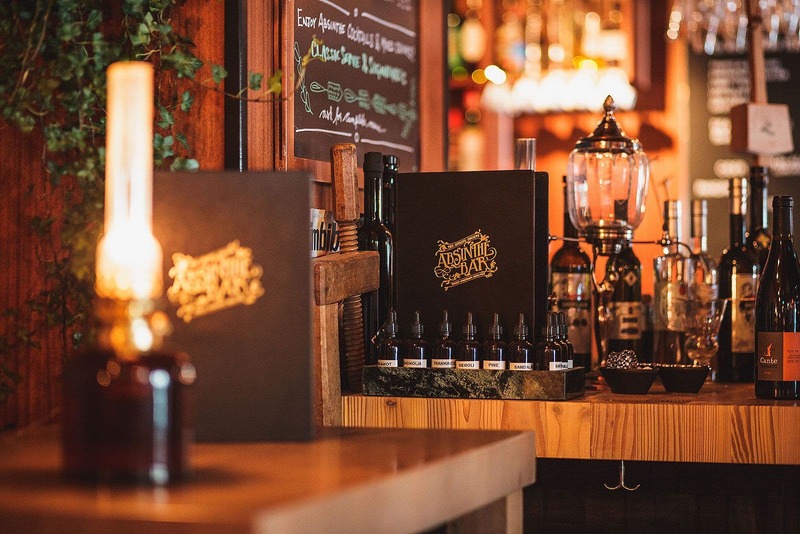 On the site of Sweden's first apothecary, which opened around 400 years ago (! 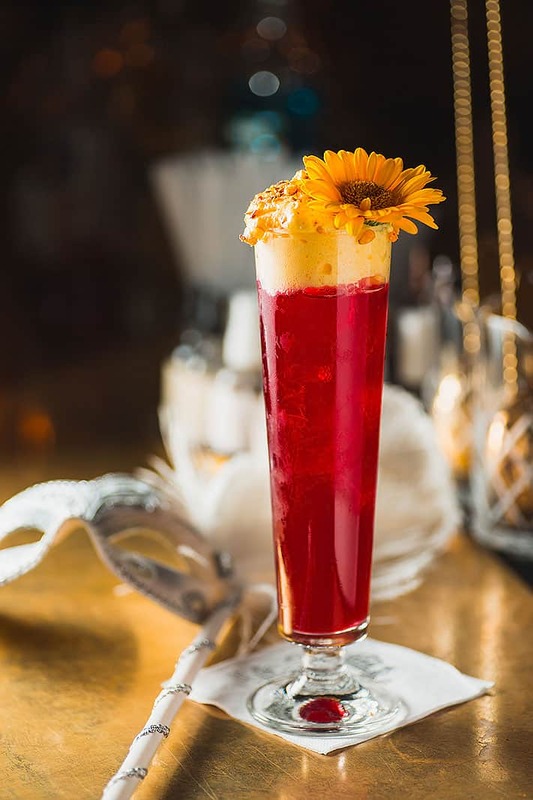 ), this award-winning cocktail bar has preserved the feel of the old apothecary and serves imaginative, seasonal cocktails as well innovative medium-sized dishes. 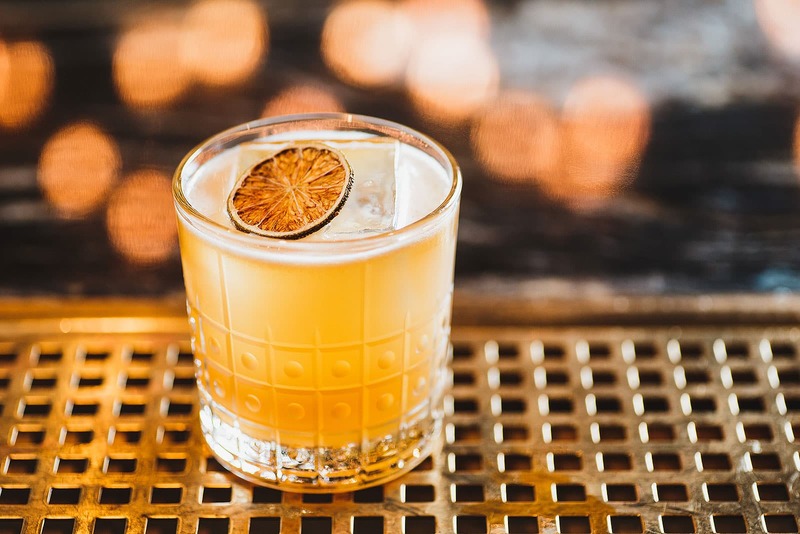 Right next door you'll find their sister restaurant Ebenist, with a slightly more old-school vibe and serving classic cocktails mixed at the bar. 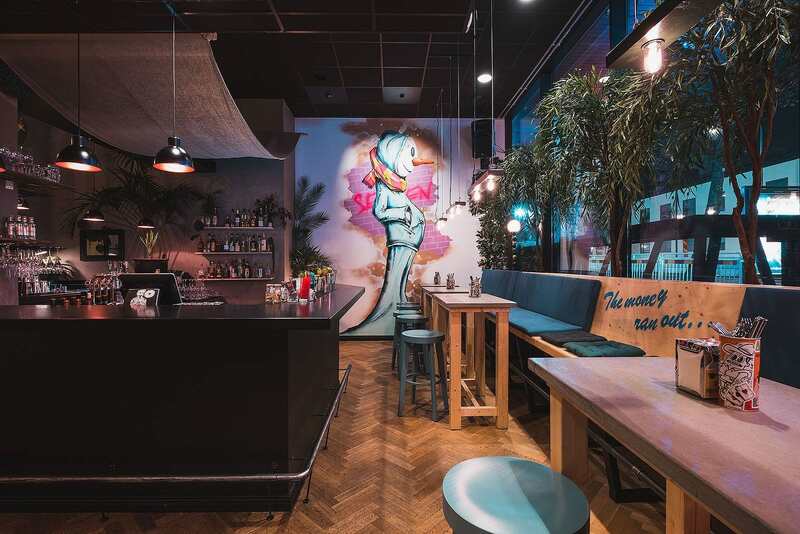 Ebenist is right next door to its sister restaurant Pharmarium and both of them are combined cocktail bar/restaurants. 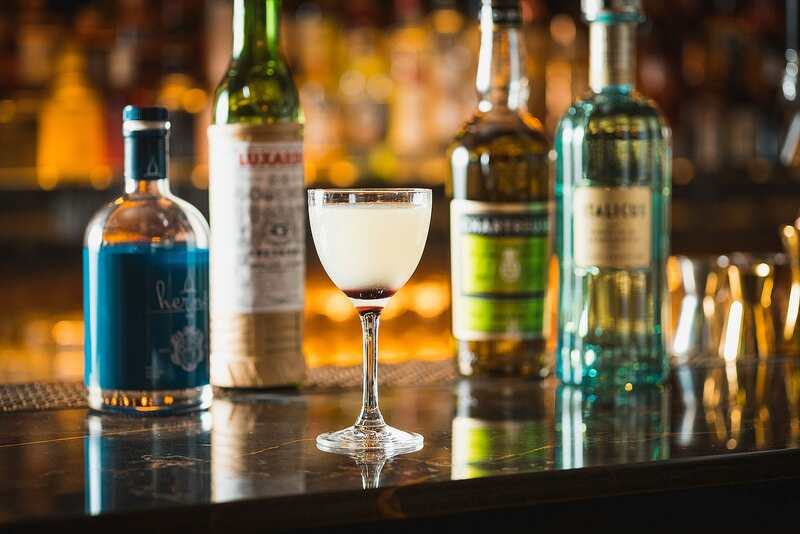 The bar menu includes cocktails with absinthe and signature drinks with unusual ingredients such as fermented apples. 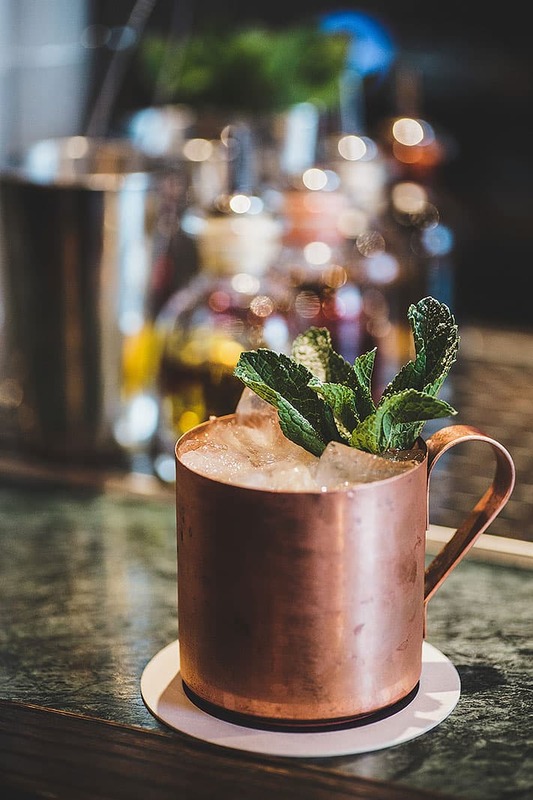 You can also buy cocktail-related paraphenalia from the Ebenist store. 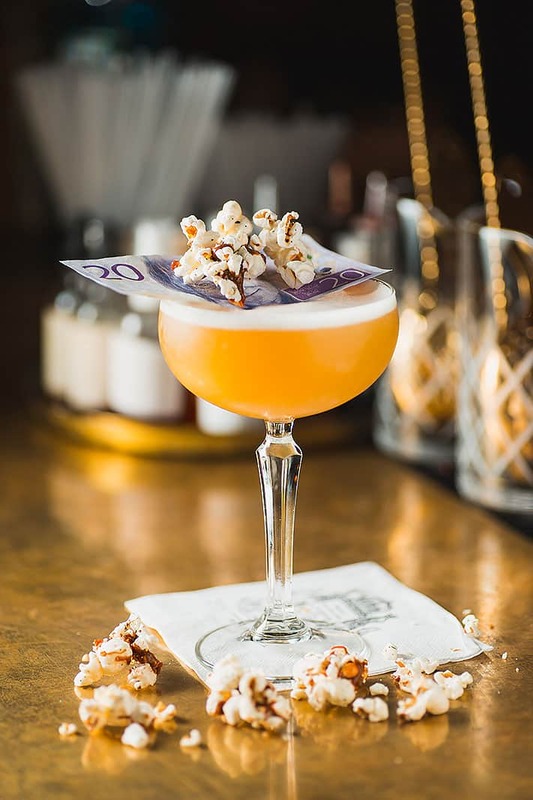 You're guaranteed to find sophisticated, innovative cocktails at the Manhattan-esque gastrobar Penny & Bill, with cocktail pro John Evers is behind the bar. 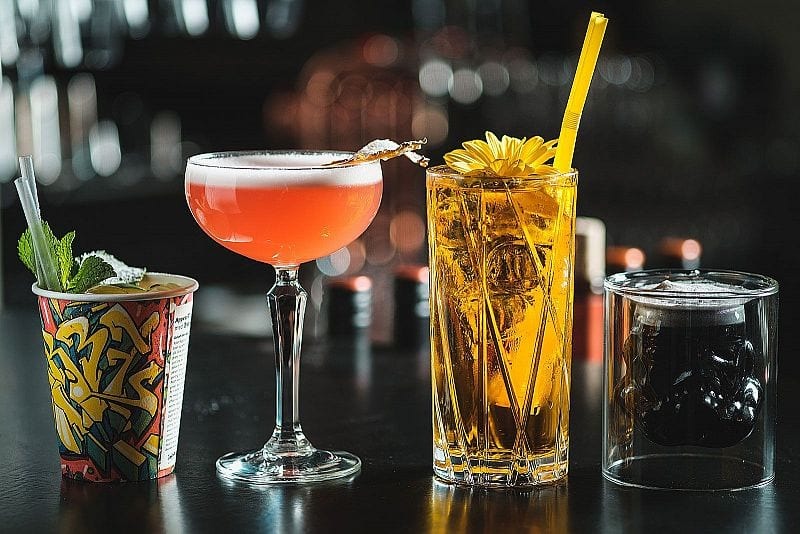 The cocktail menu is divided into various different flavour categories to suit different occasions, and the drinks are created by some of the best bartenders in the world. 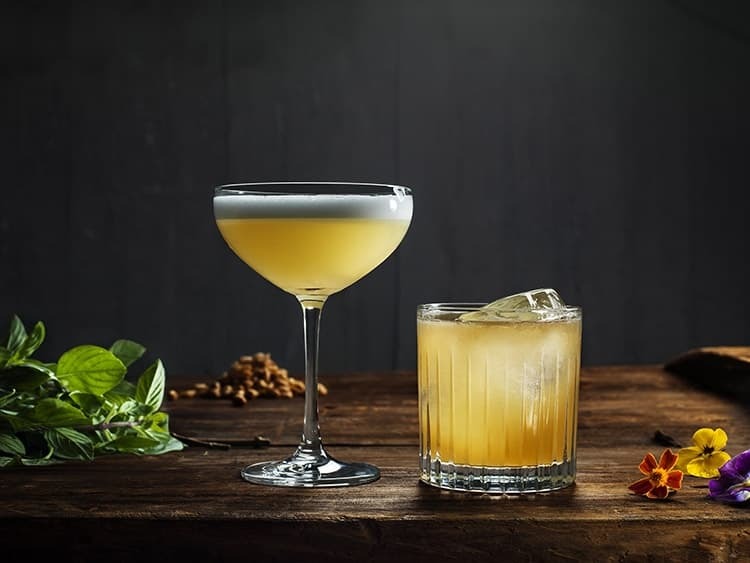 "Foodtails" - paired food and cocktails - are part of their concept. 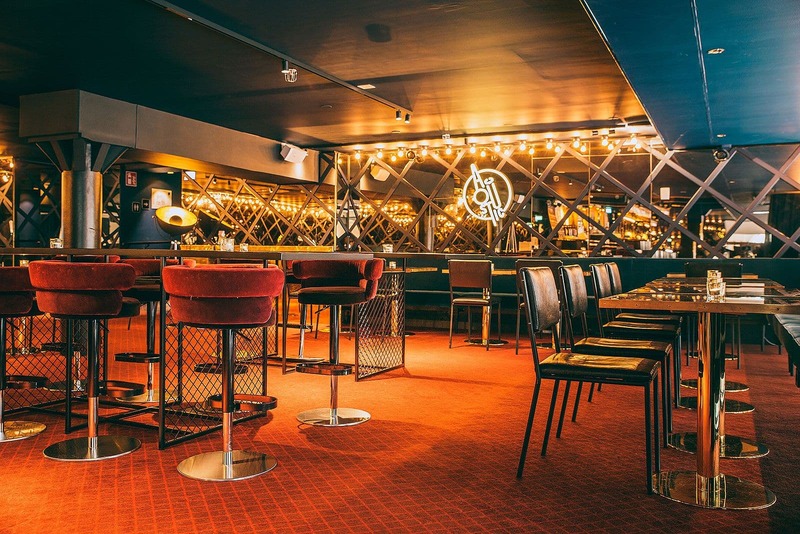 Boutique hotel Miss Clara houses a fantastic little cocktail bar with an urban feel and expertly mixed drinks. 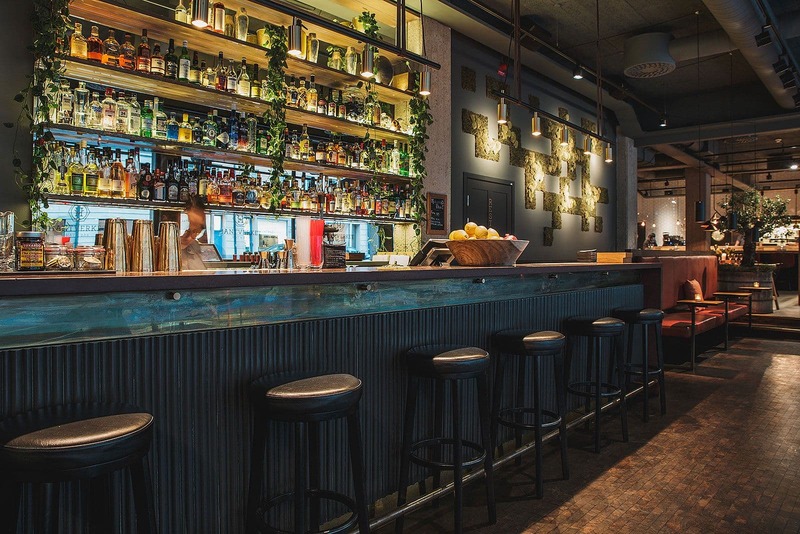 Mingle with locals and international guests and combine your drinks with modern bar food. 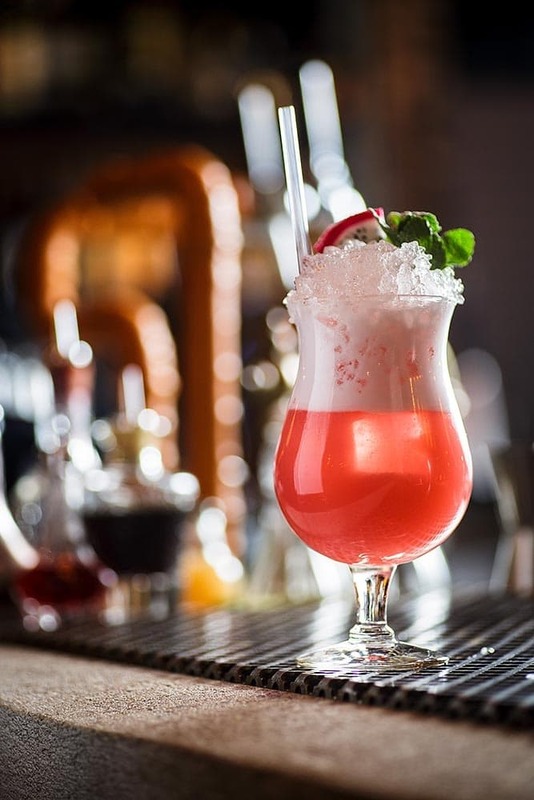 You'll find Kung Carl's cocktail bar in the light-filled courtyard next to the lobby and the atmosphere here is turn-of-the-century French charm with a modern twist. 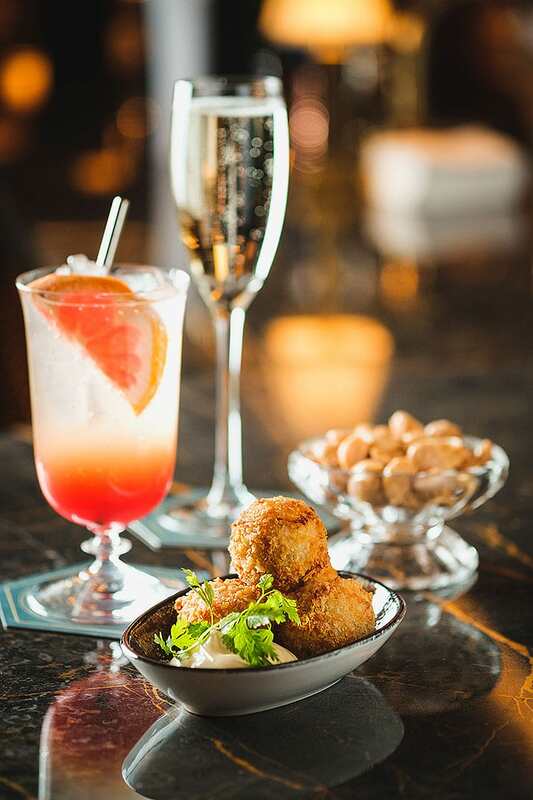 Cocktails can all be paired with excellent small dishes and the drinks menu reflects different decades, with everything from classic cocktails to modern drinks with fresh berries. 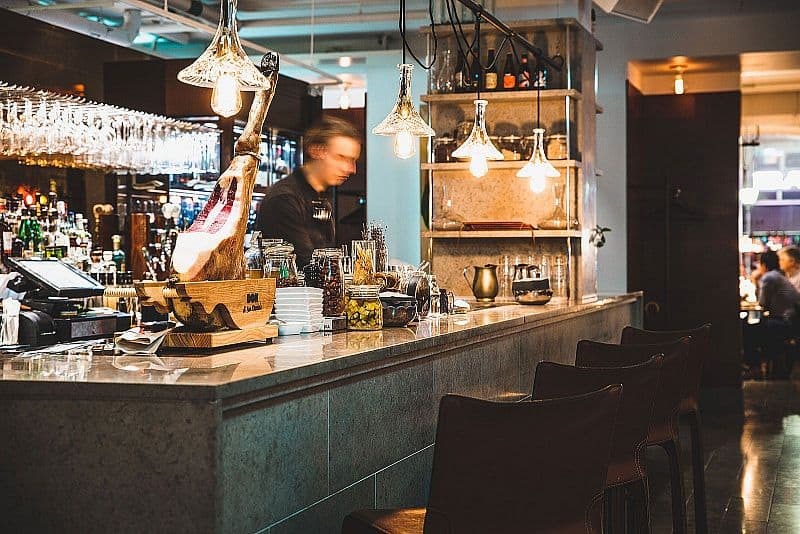 Carousel is a popular meeting point in the heart of Stockholm, just a stone's throw from the Royal Opera House. 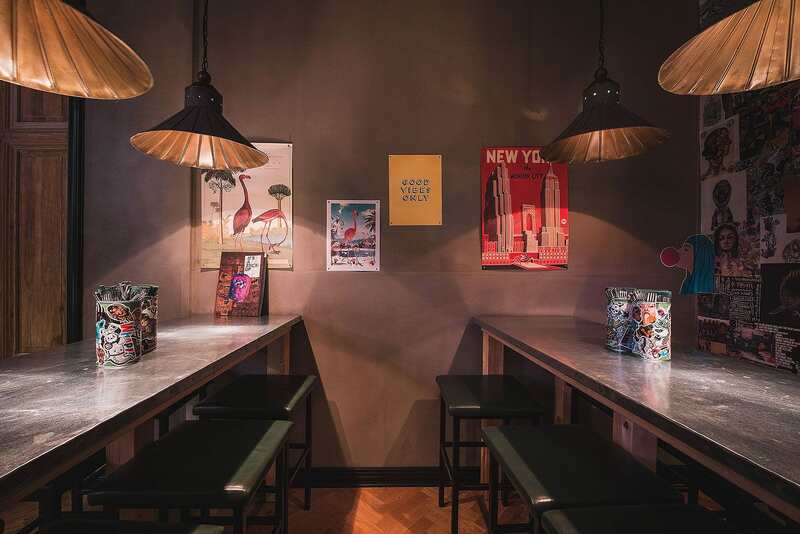 The bar selection is ambitious and accompanied by dj-spun tunes. 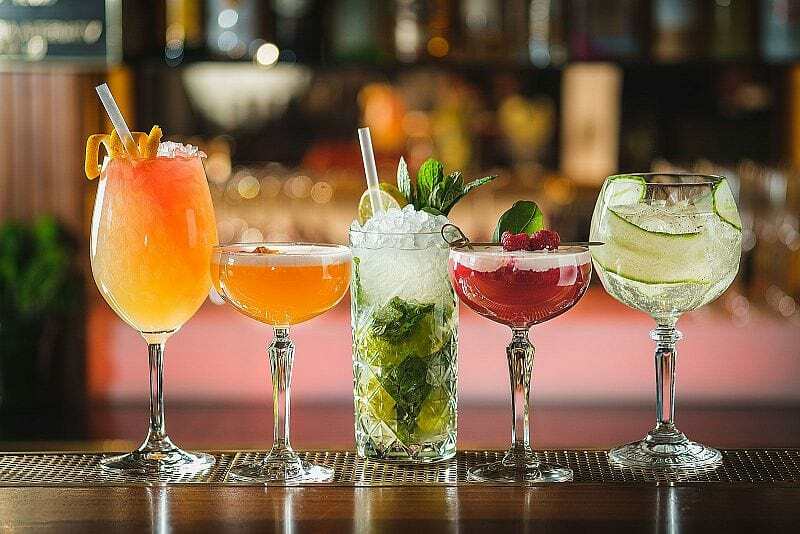 Kick off your evening at the opera with a well-mixed cocktail or go all-in. 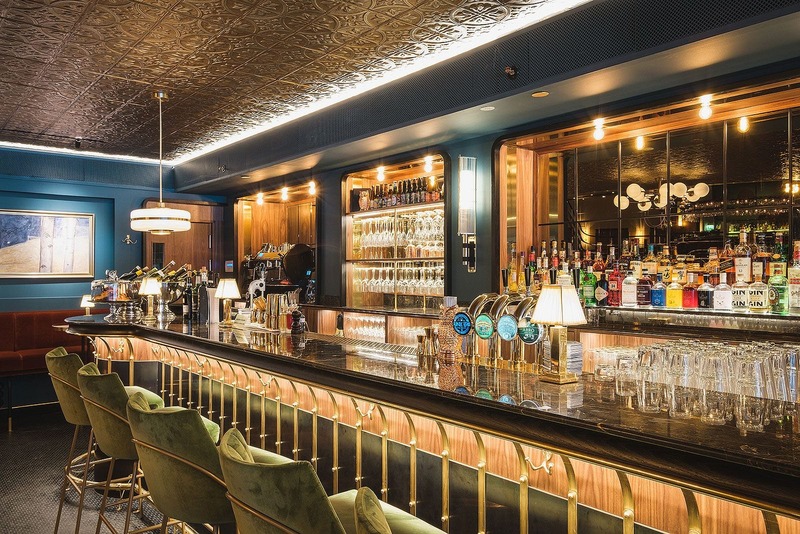 Duvel Café's rather drab exterior juxtaposes its immaculately stylish interior complete with beautiful blue wood-panelled walls, leather chairs and brass fittings. 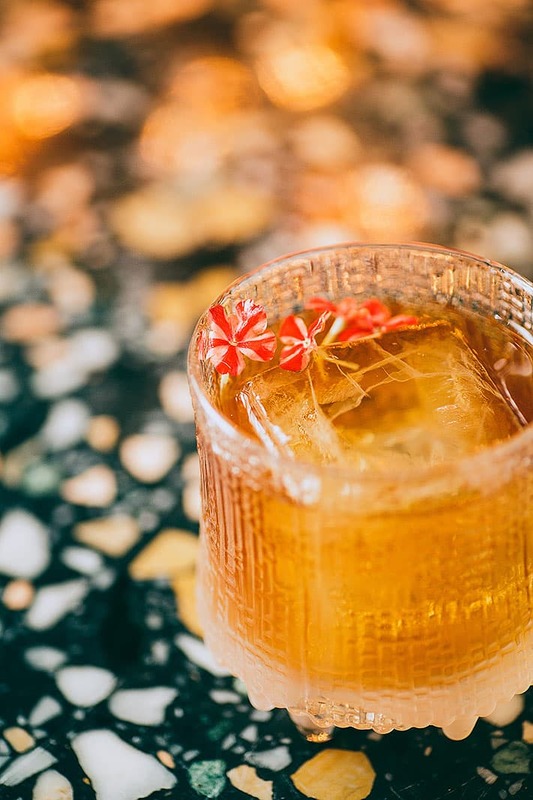 Its cocktail bar surprises with beer cocktails and other drinks with an experimental edge. Beer-lovers are bound to find their way next door to Pressklubben. 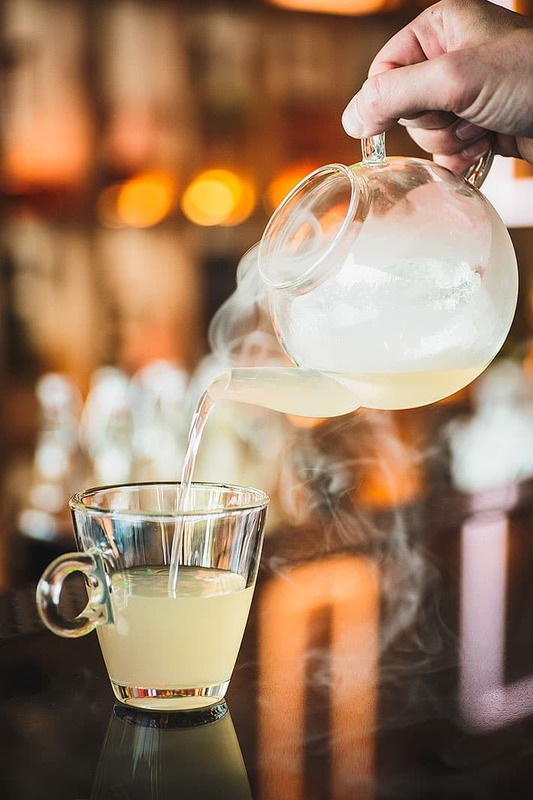 In the Clarion Hotel Sign's bar, staff mix up exciting drinks with a sustainable focus and "no waste" philosophy. They'll gladly mix you up a cocktail they think you'll like and which you may not have thought to try before. 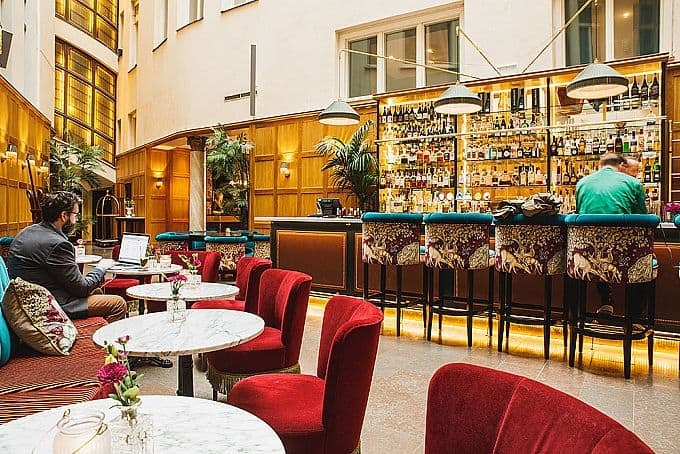 Rival at Mariatorget embodies 1930's art deco glamour, complete with sumptuous red velvet decor and shiny brass detailing. 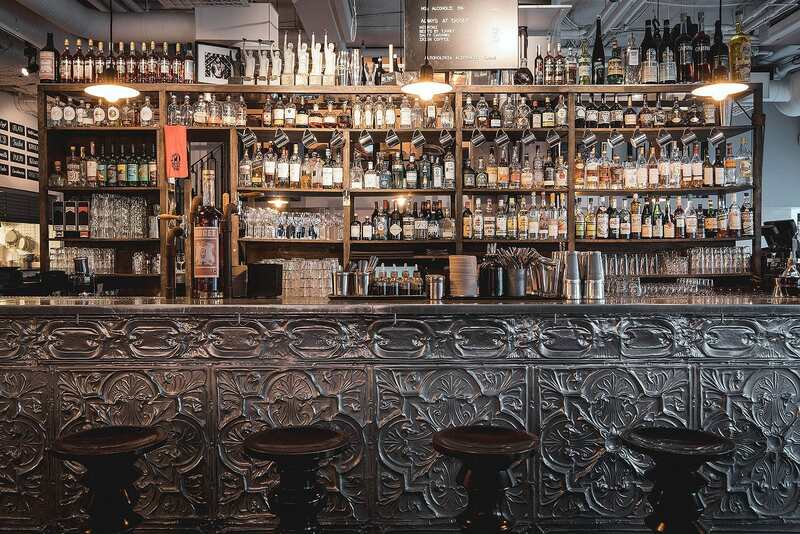 The bar is a popular haunt for its artisanal cocktails and relaxed ambiance. 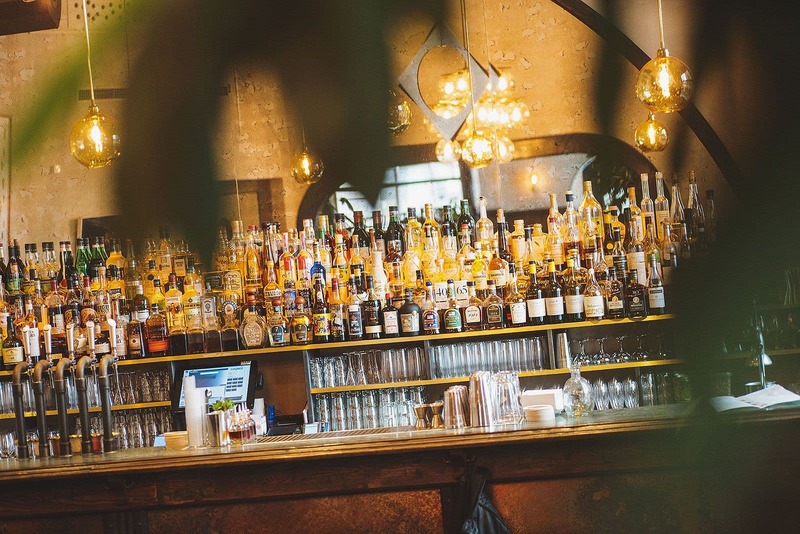 The bar is open almost every night with DJs and live shows. 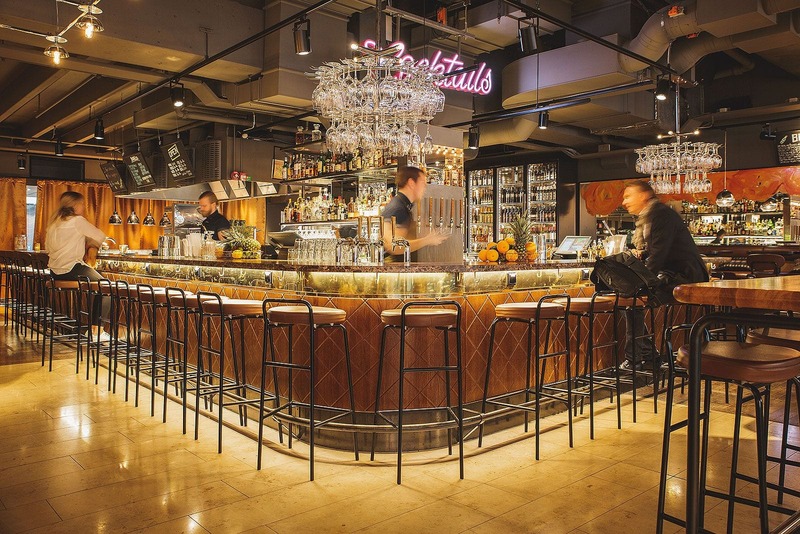 The bustling upstairs bar at Hotell Grand Central by Scandic takes style cues from both Paris and New York. 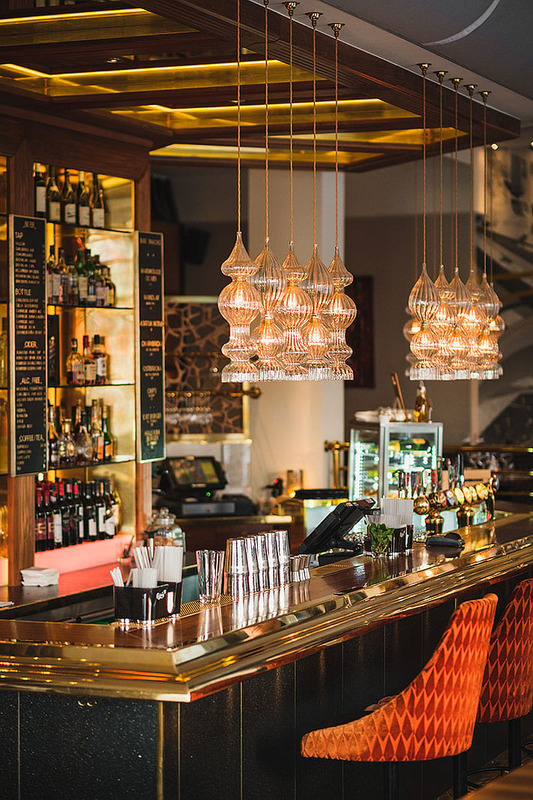 Its central location and warm atmosphere appeals to locals and hotel guests alike - perfect for after work drinks. 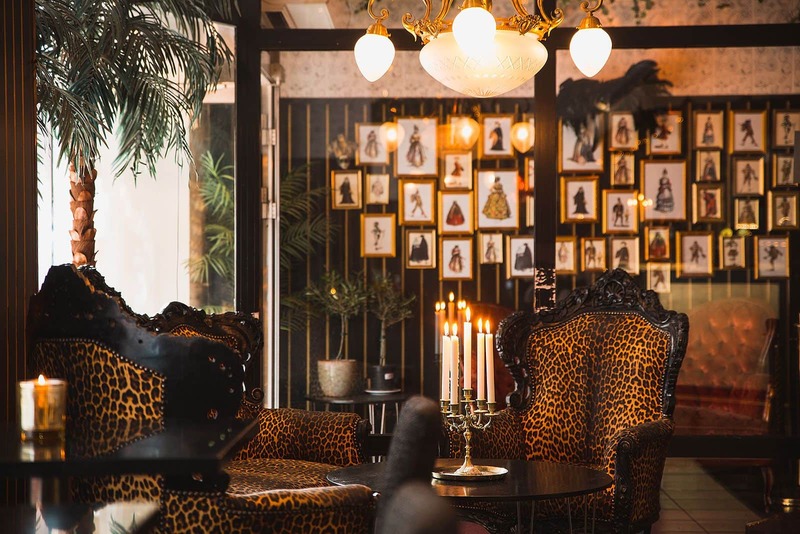 This ambitious neighbourhood restaurant on Mariatorget is run by a team with some impressive restaurants on their cvs. 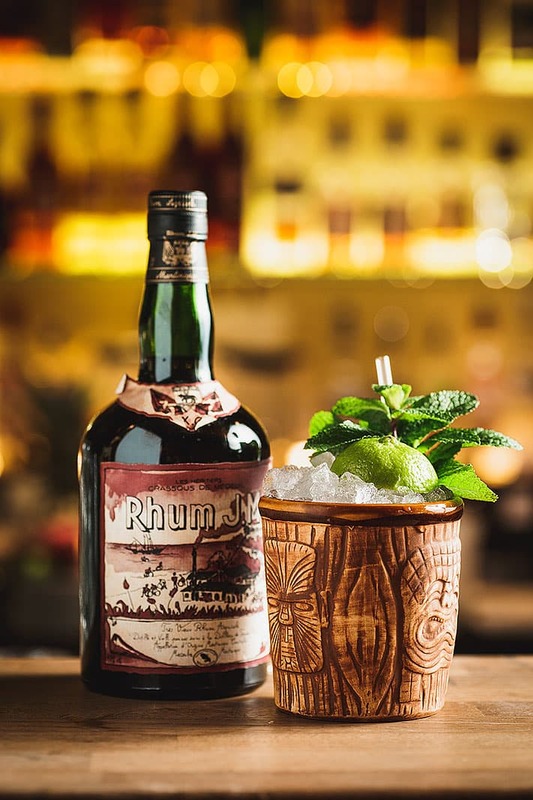 The bar is influenced by the hotspots of Miami and stocks a huge range of rum as well as masses of rum-based cocktails, such as "Jah-Man" with rum, campari, sherry, lime and stout. 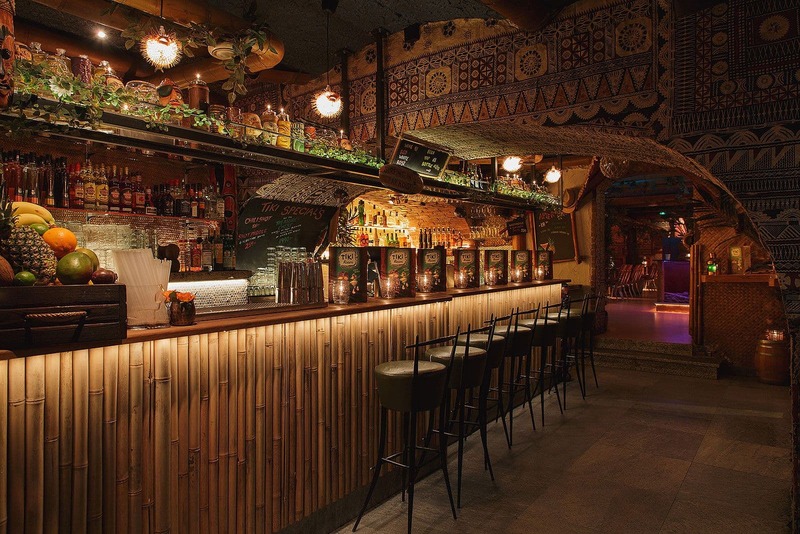 Stockhom's first tikibar oozes Hawaiian, Polynesian and American West Coast vibes. 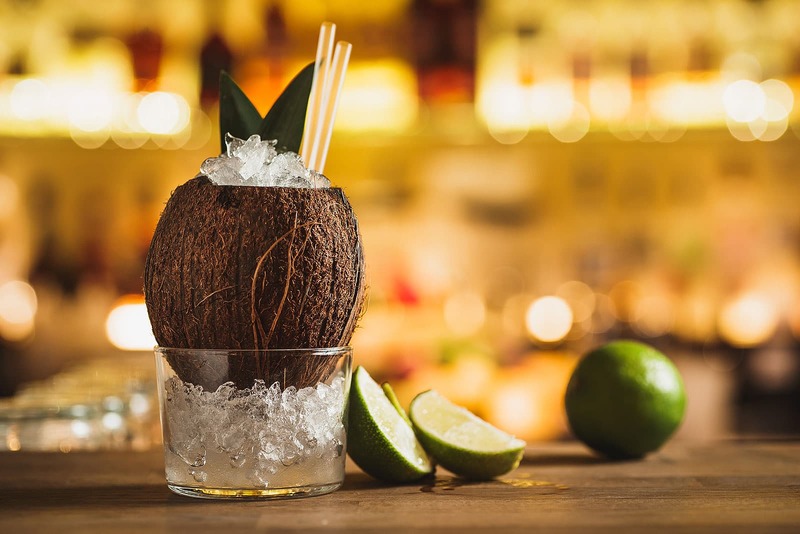 Think enormous rum cocktails, flowery Hawaiian shirts and tropical tunes. 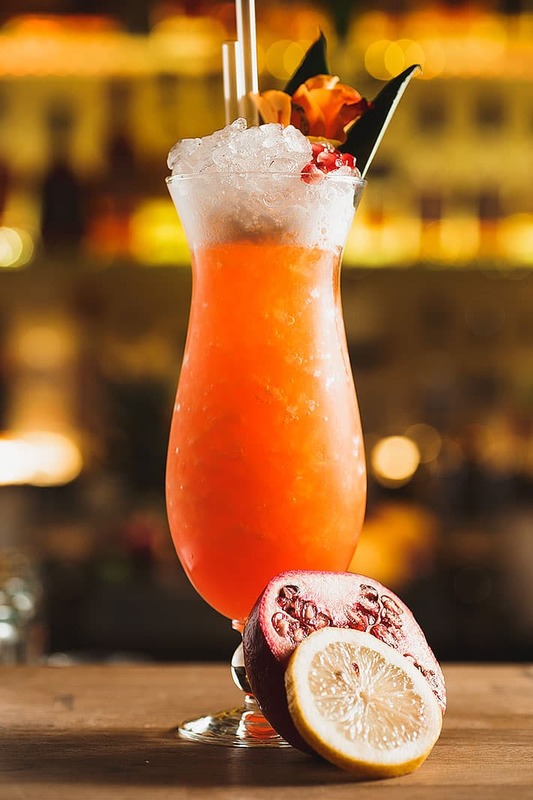 Cocktails are made according to both original and their own recipes and many of them are based on rums from Jamaica and Cuba. 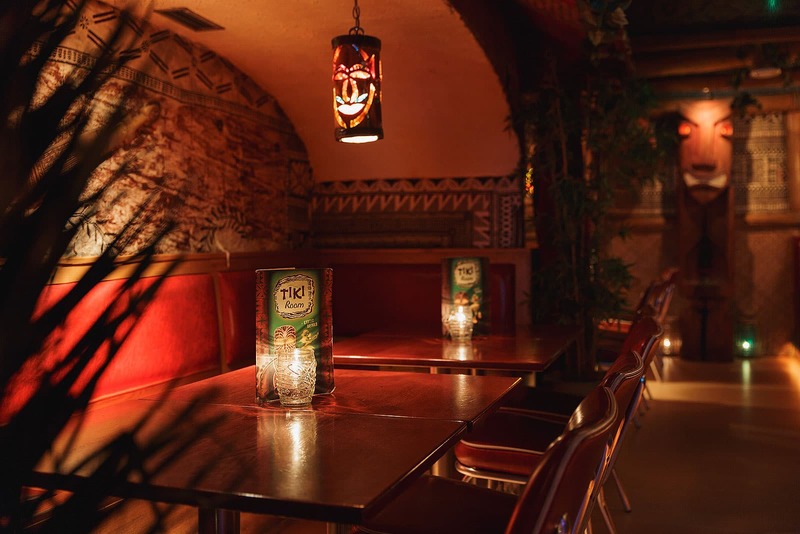 You'll find Tiki Room in the basement of Mellow Bar. 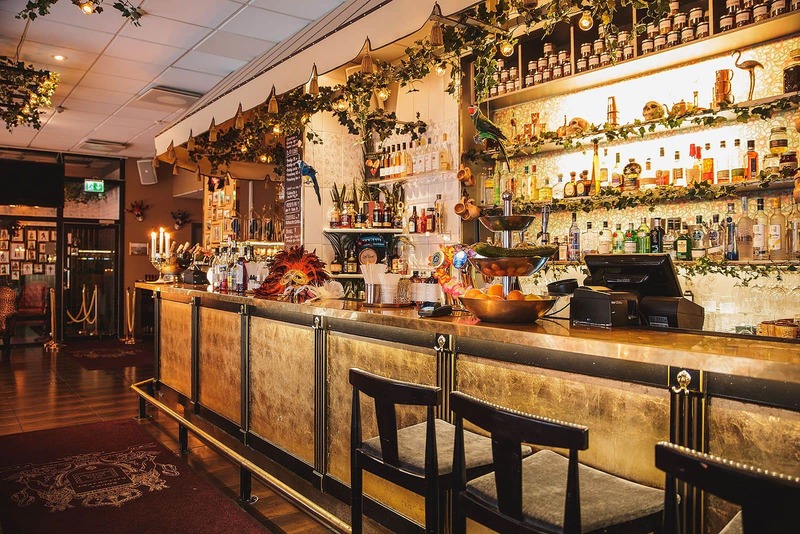 Innovative cocktails pair with international streetfood at The Seven in Kungsholmen. 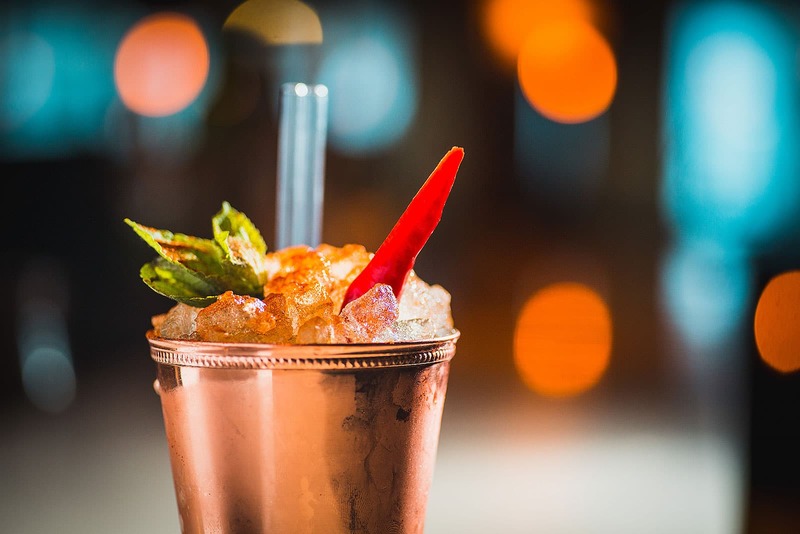 Choose an exciting combo of food and drink from the same part of the world and be prepared for a real flavour odyssey. 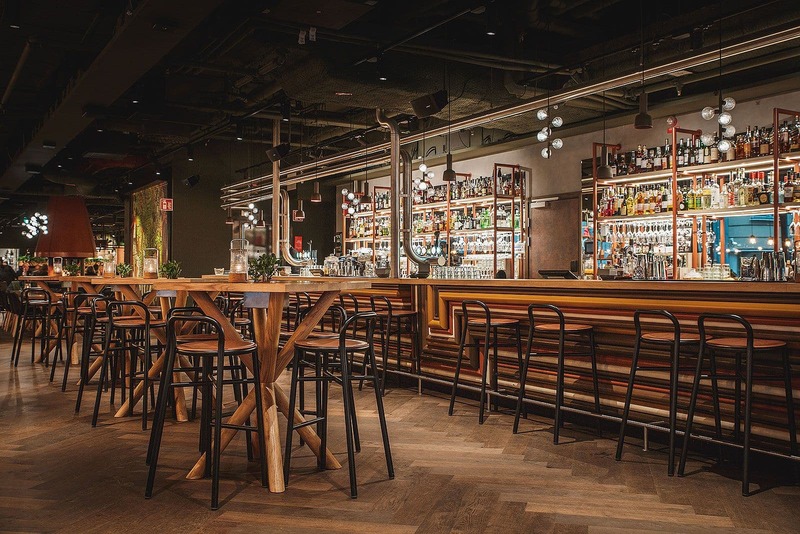 The city's coolest Asian fusion restaurant fuses sleek industrial-style interior with distinct metropolitan vibes. 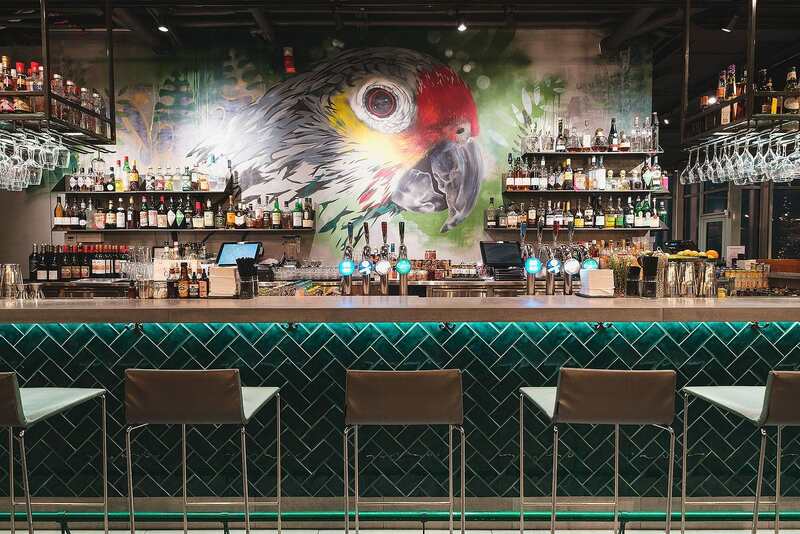 The Southeast Asian influences are apparent from the menu to the cocktail bar. 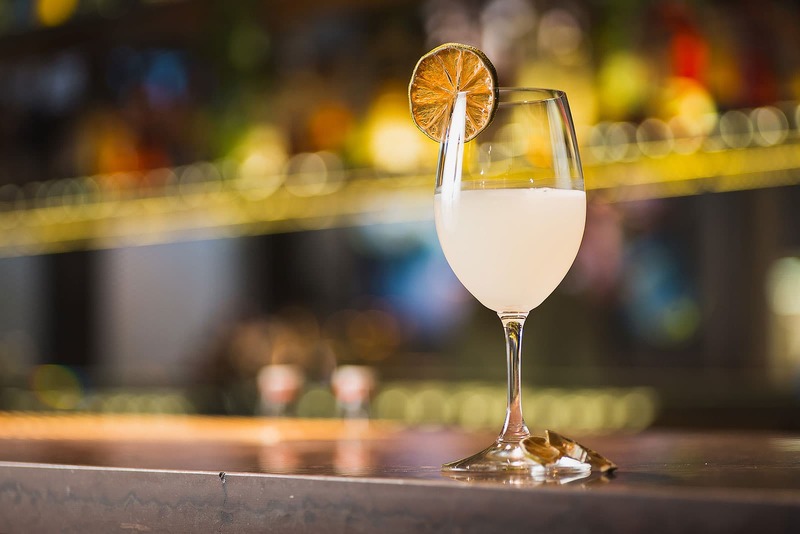 Innovative artisanal drinks with a twist are mixed behind the bar. 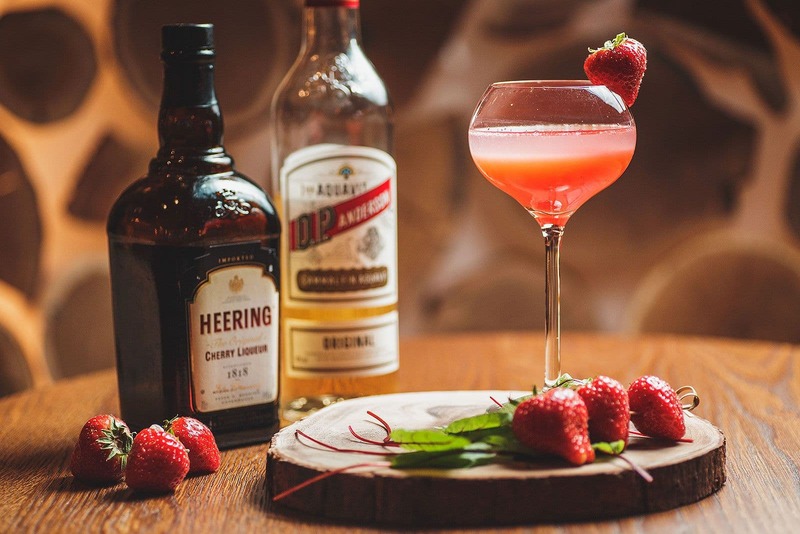 Enjoy innovative cocktails at award-winning Vassa Eggen. 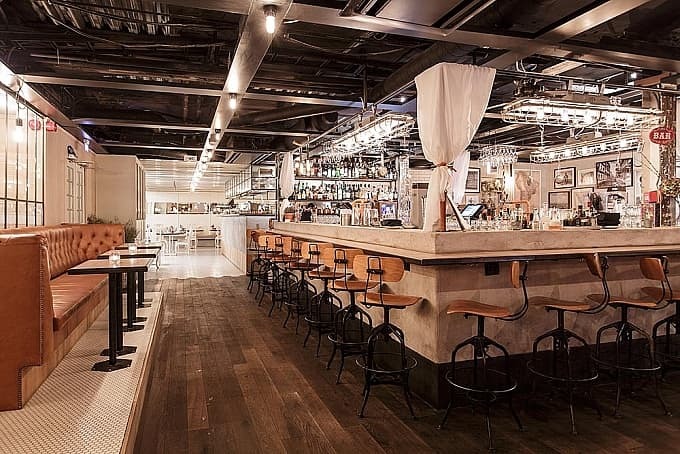 This restaurant has had multiple guises over the years, the most recent an industrial NYC-style steakhouse. 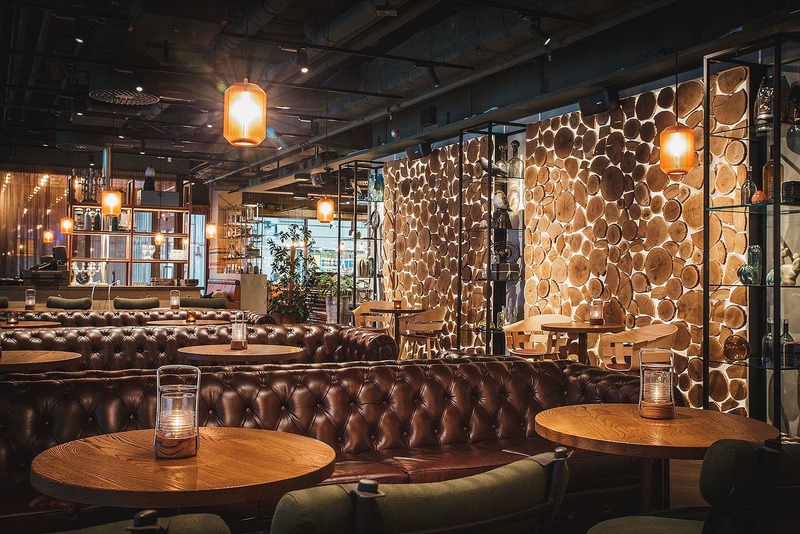 During the summer the outdoor terrace is perfect for casual after work drinks. 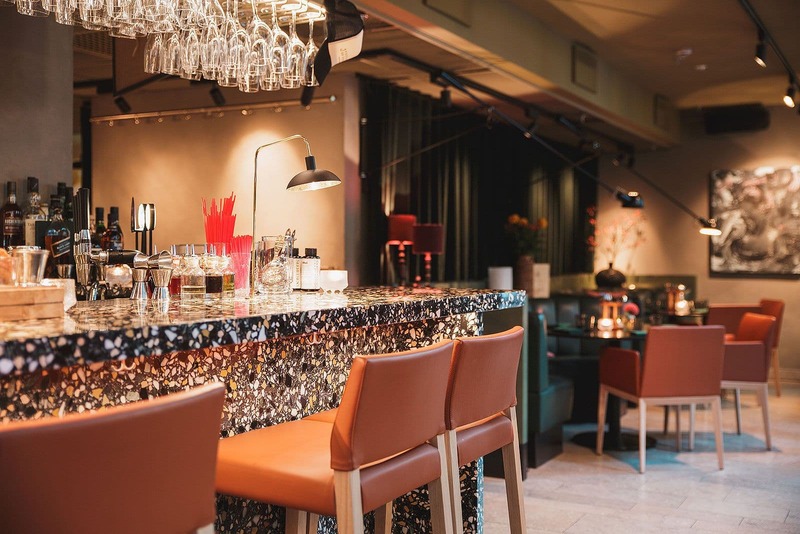 The hotel restaurant at Downtown Camper by Scandic gets its inspiration from both nature and the surrounding neighbourhood - so you'll find exciting cocktails with marshmallows alongside ones with names such as "Klara Västra Kyrkogata" and "Sveavägen". 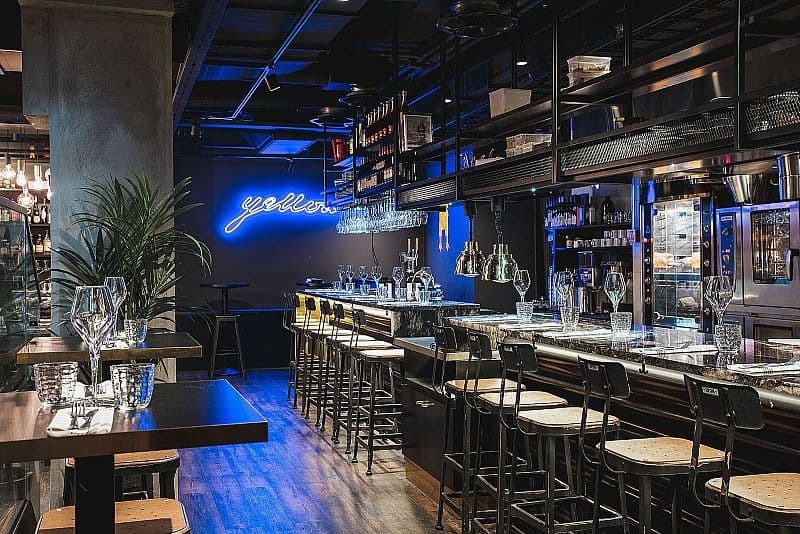 A place for both locals and tourists to hang out and sip cocktails. Venice-influenced Södra Sällskapet in Södermalm has a cocktail bar and lounge with an extensive drinks list. 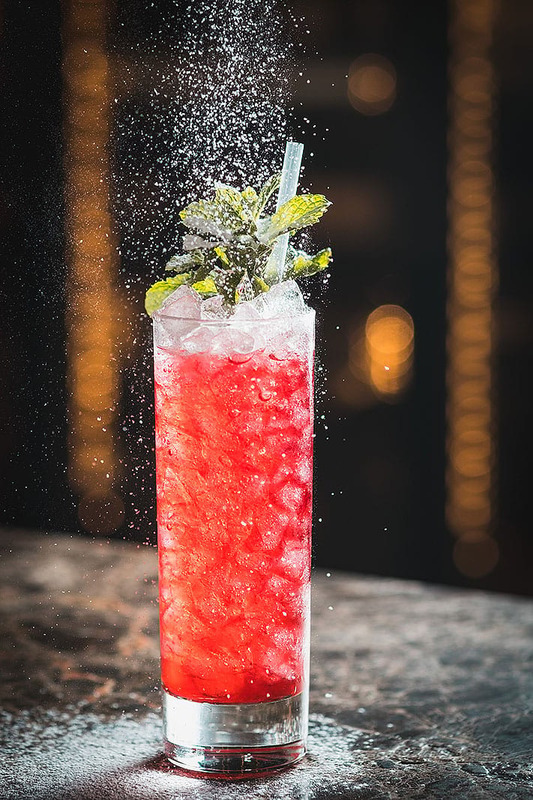 Sip on a rum-based mojito or order one of their signature cocktails with exciting influences and ingredients. Mister French fuses 1920's glamour with enviable waterfront views and boasts a large outdoor terrace. 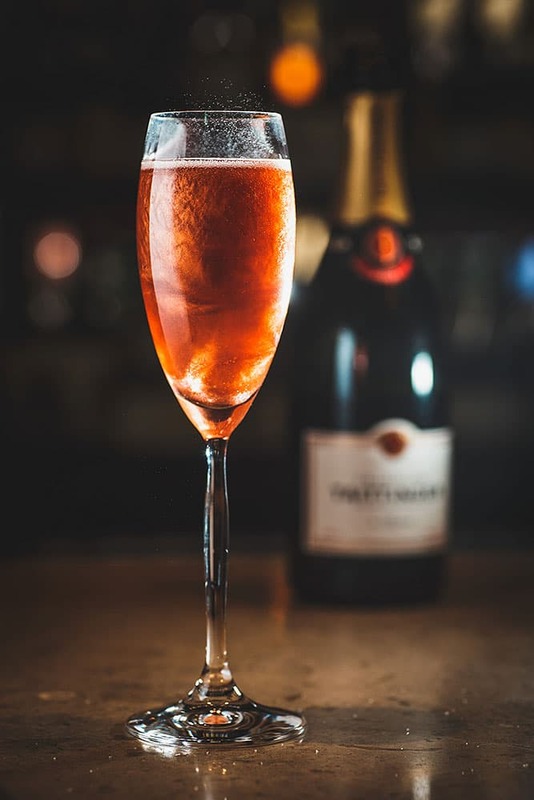 If you’re in the mood for colour-popping drinks, a flute of champagne or an artisanal beer you've come to the right place. 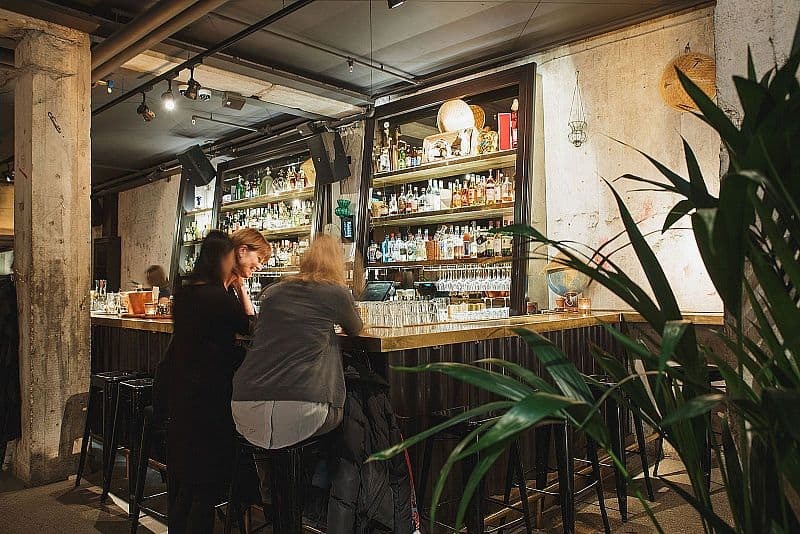 You'll find Exit where Folkungagatan meets Götgatan, with two bars, a lounge and a restaurant. 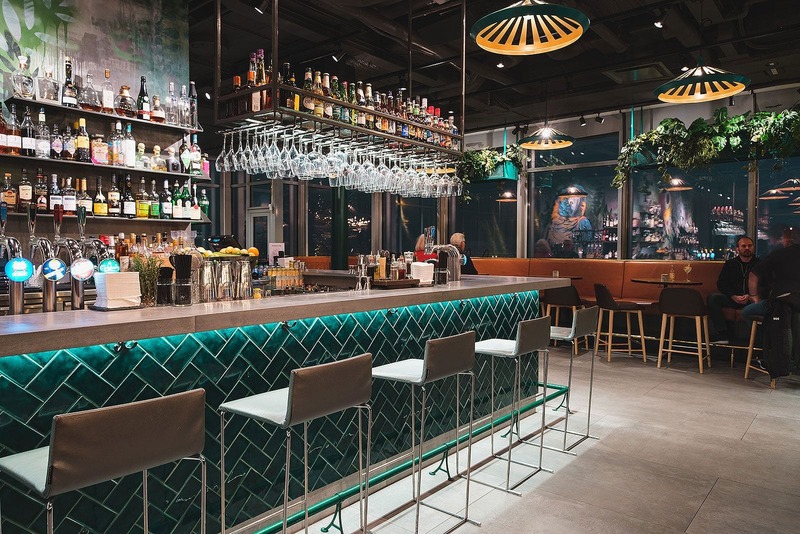 Lounge vibes flow amid soft bar stools and stylish interiors and thirsty guests can choose between cocktails and mocktails. ja bland. 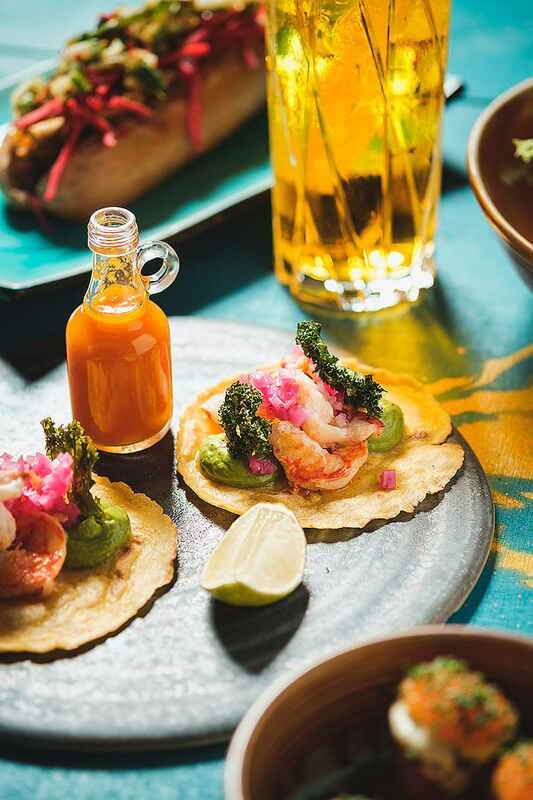 You'll find this Latin American social eating restaurant concept from celebrity chef Marcus Samuelsson within the Clarion Hotel Stockholm. 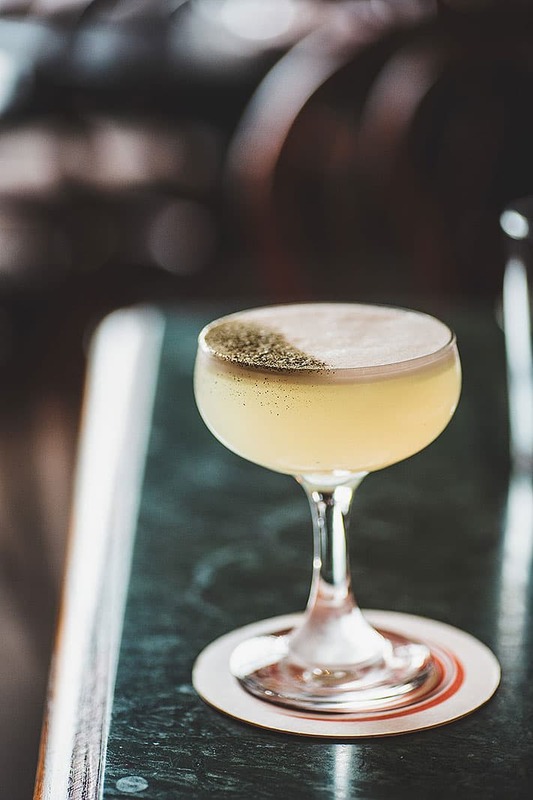 There's something for everything in the large bar and their signature cocktail is a wonderfully sour Margarita. 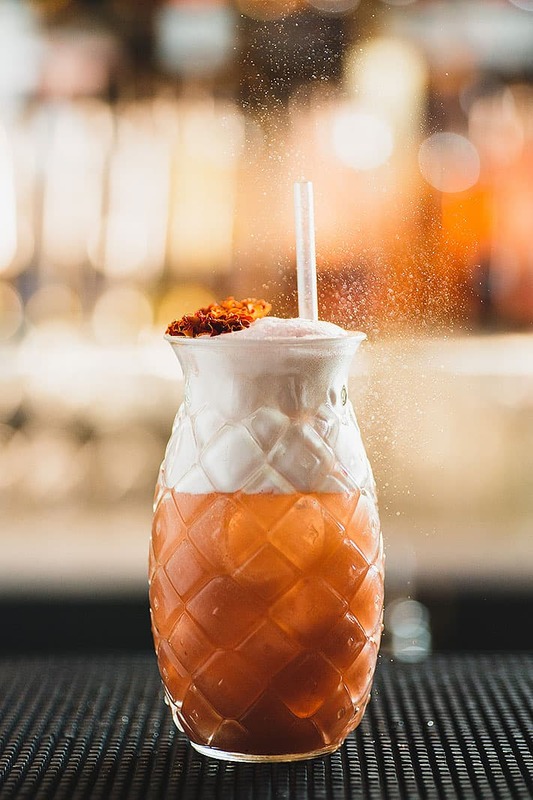 One floor up is the smaller Vatos, a cocktail bar with a carefully selected range of drinks made using tequila, mezcal and pisco - for true connoisseurs. Popular with both guests and locals. 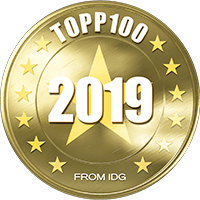 As indicated by its name, Tweed has wholeheartedly embraced is theme, complete with complete with comfortable chesterfields and checkered wallpaper. 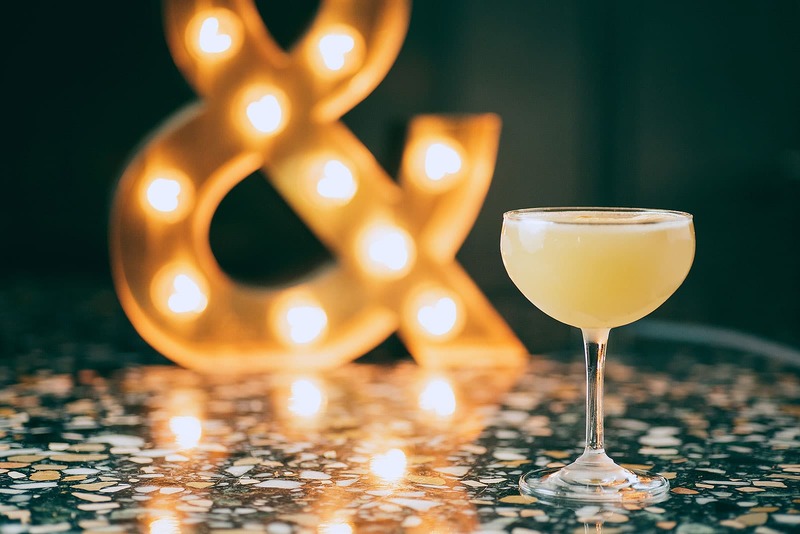 Adjacent to Djuret, this charming bar serves artisanal beers and old-school cocktails with a distinct twist. 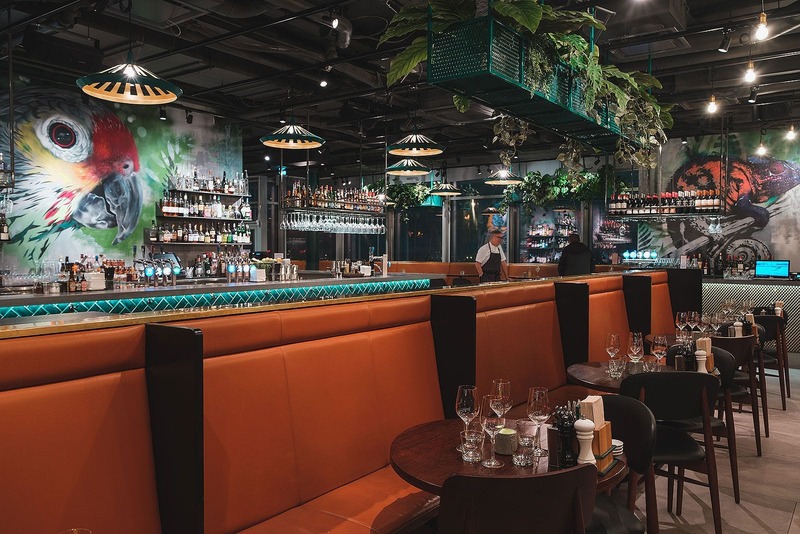 This large restaurant isn't just a sophisticated choice for an excellent meal; it's also a great place to come for a drink in their stylish cocktail bar. 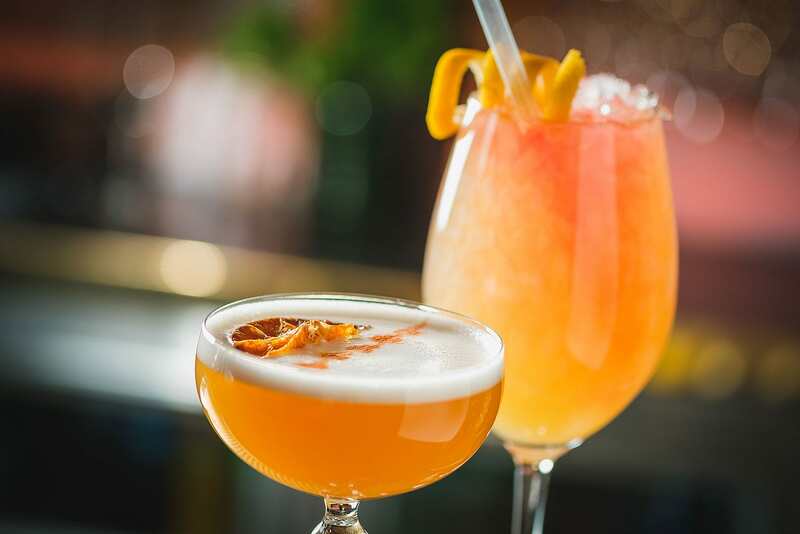 Sip on one of their signature cocktail such as "Karamell" or choose one of the bar's "new classics". 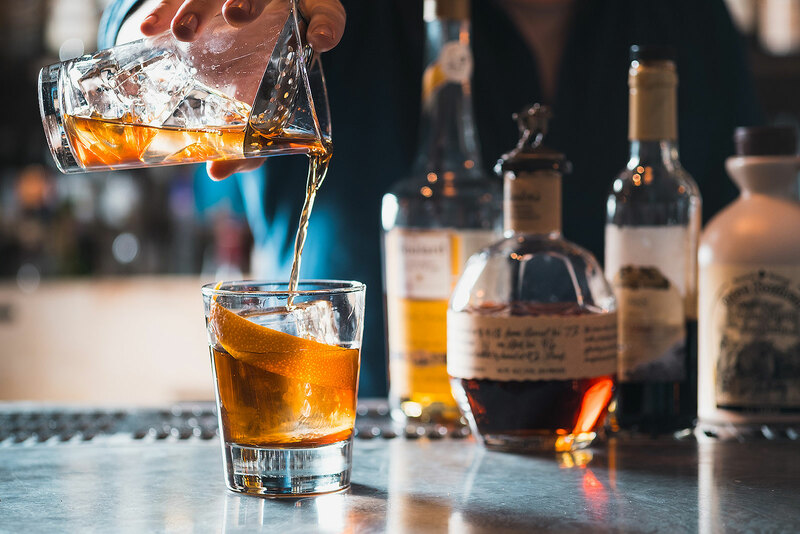 Perfect for an after-work drink or a special date. 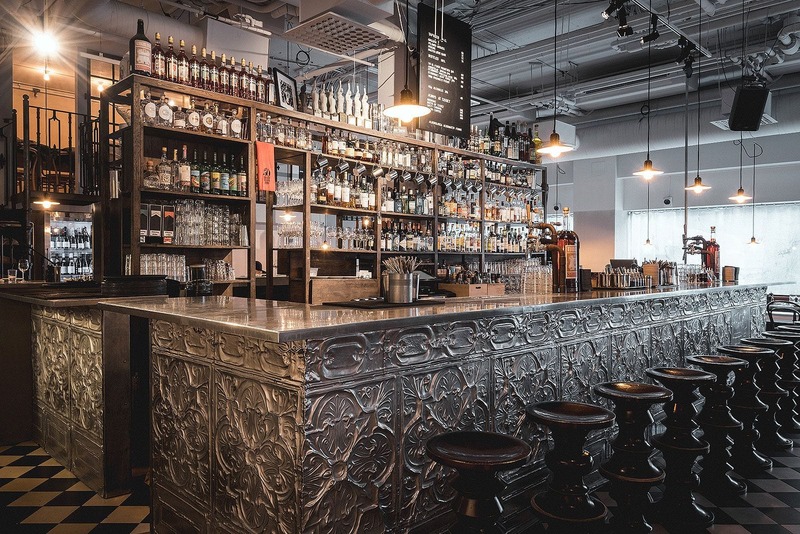 Corner Club is The Flying Elk and Restaurant Frantzén’s slightly more casual sibling. 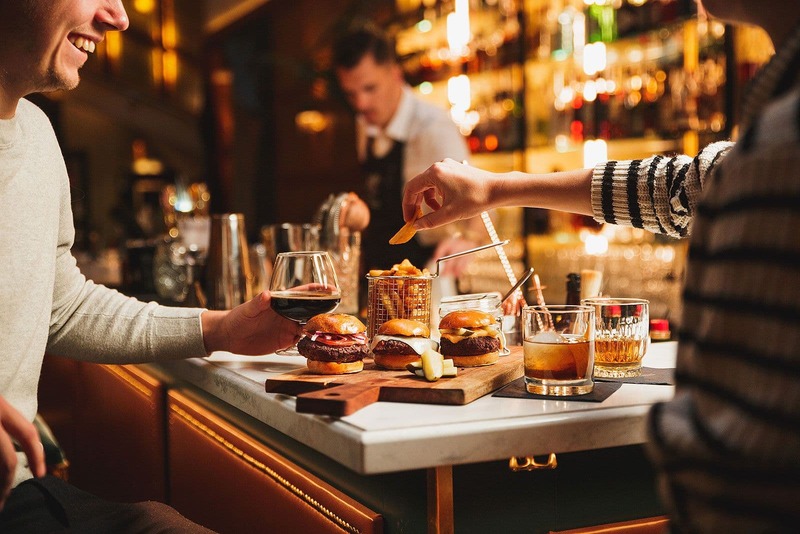 The chic bar complete with marble tables is famous for its ‘burgers & drinks’ concept. 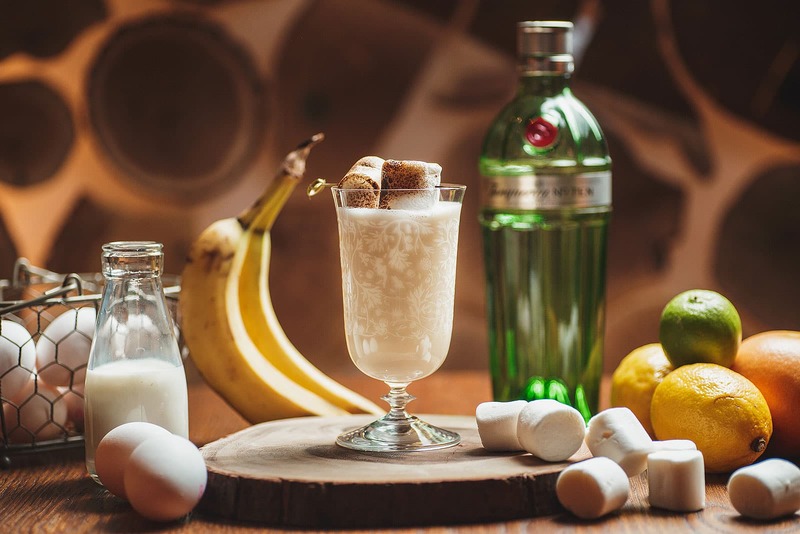 Guests are invited to select their poison of choice from a seasonal cocktail list. 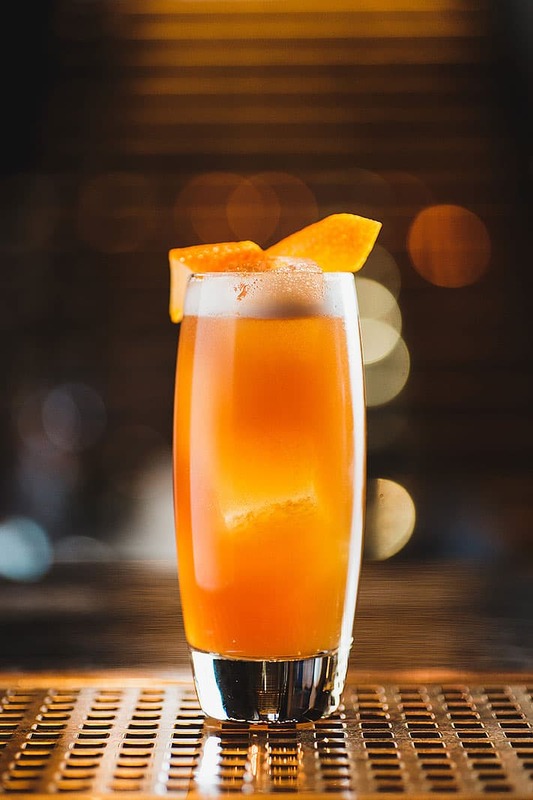 Perfect for cocktail hour pre or post dinner. 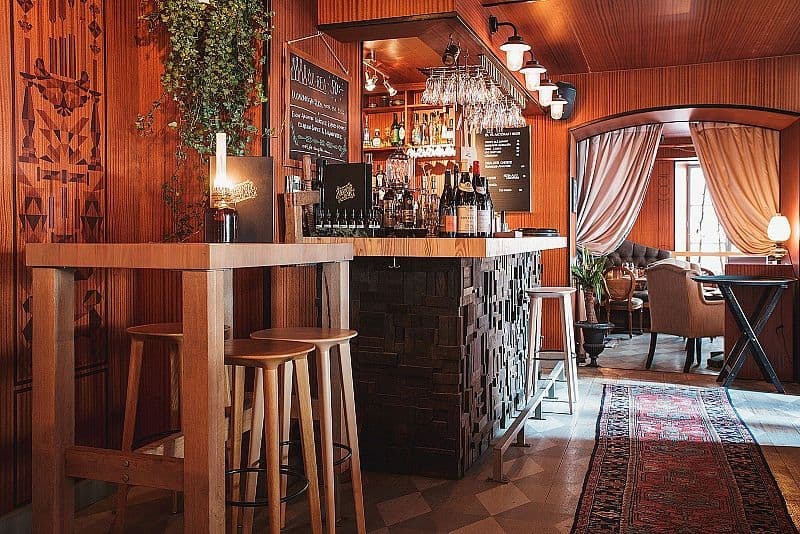 Although primarily famous for its meaty offering, Svartengrens' artisanal cocktail bar has also made a name for itself. 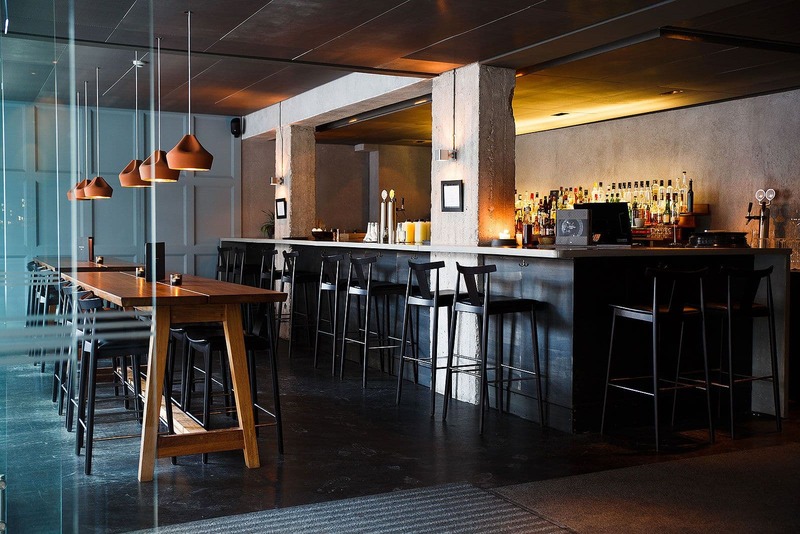 The minimalist decor and sleek bar pays tribute to its NYC inspirations. 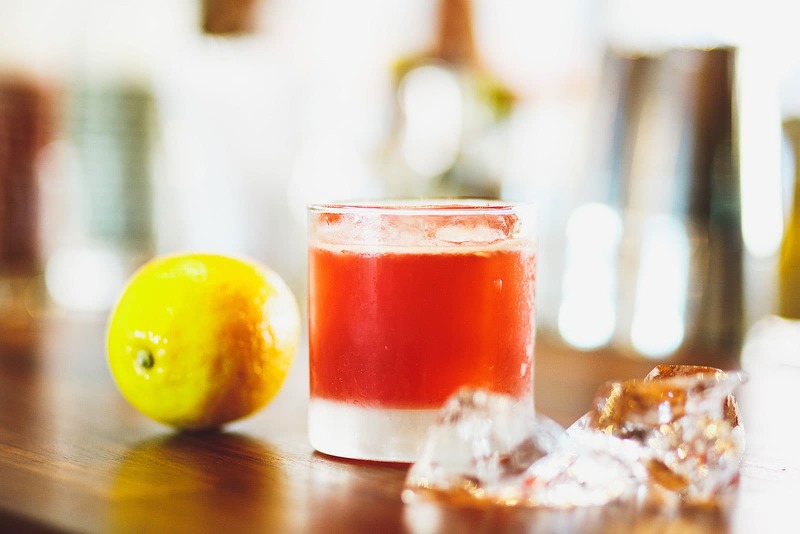 Svartengrens’ signature Grapefruit Collins is a real showstopper. 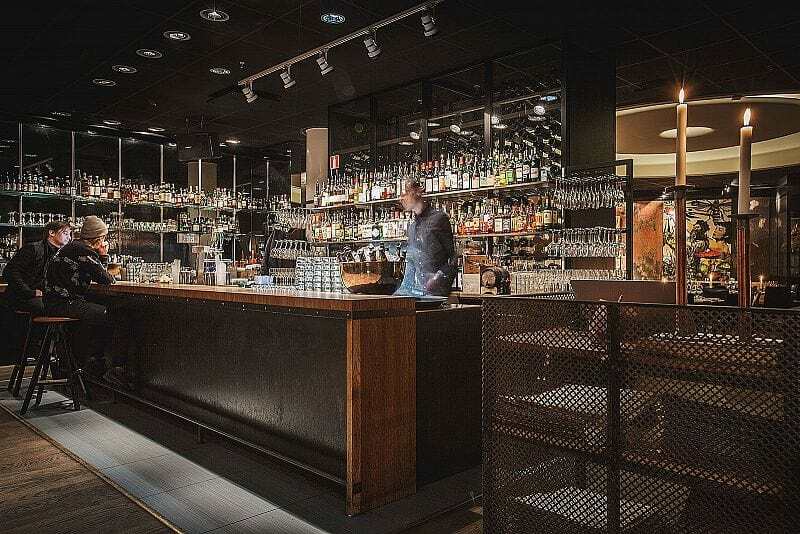 The former PUB department store on Hötorget now houses the large Haymarket by Scandic hotel, with its restaurant, café and cocktail bar Americain. 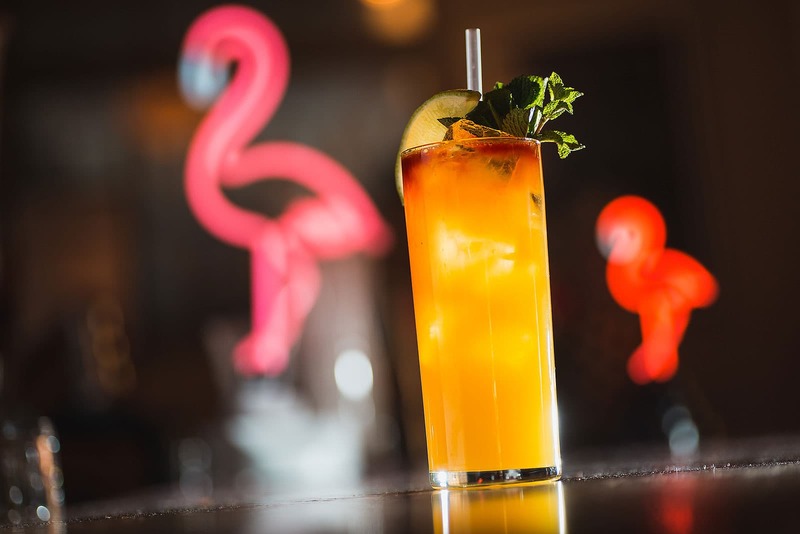 The atmosphere is classic hotel bar, with touches of the Caribbean and the film Casablance. 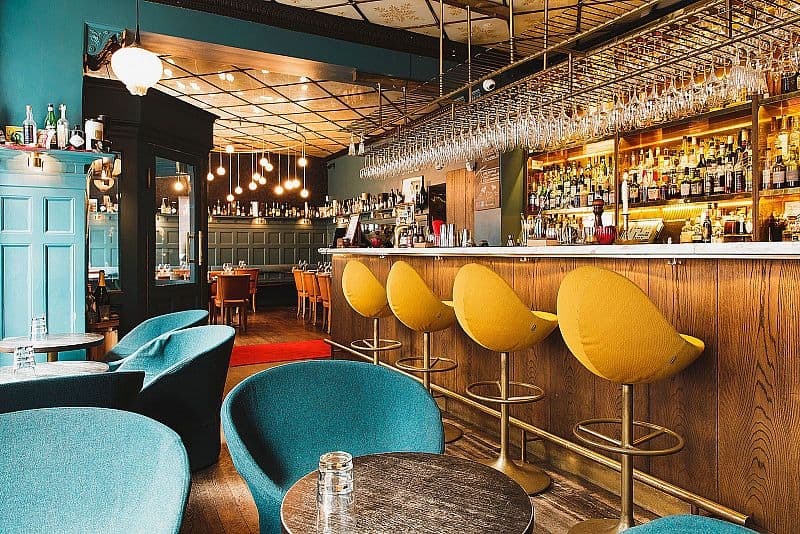 Take a seat in one of the velvet armchairs and order a stylish cocktail and perhaps something to snack on. 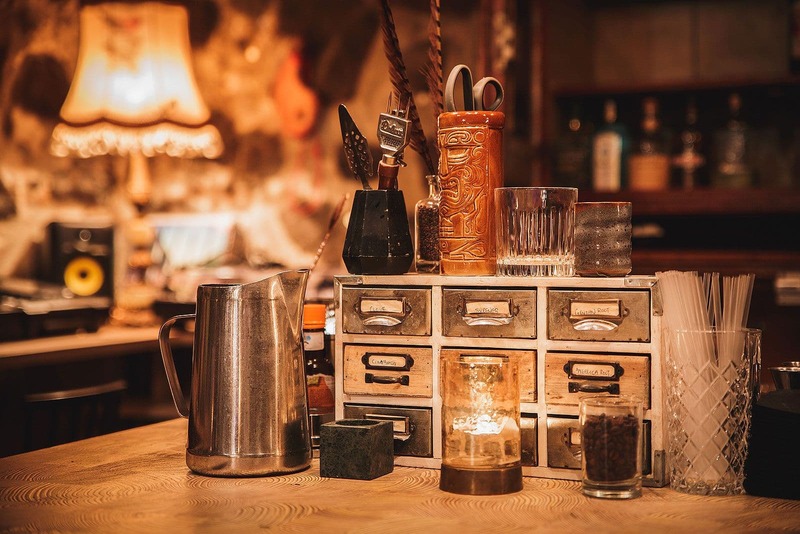 It's not just the food and the interiors here which have the artisanal touch. 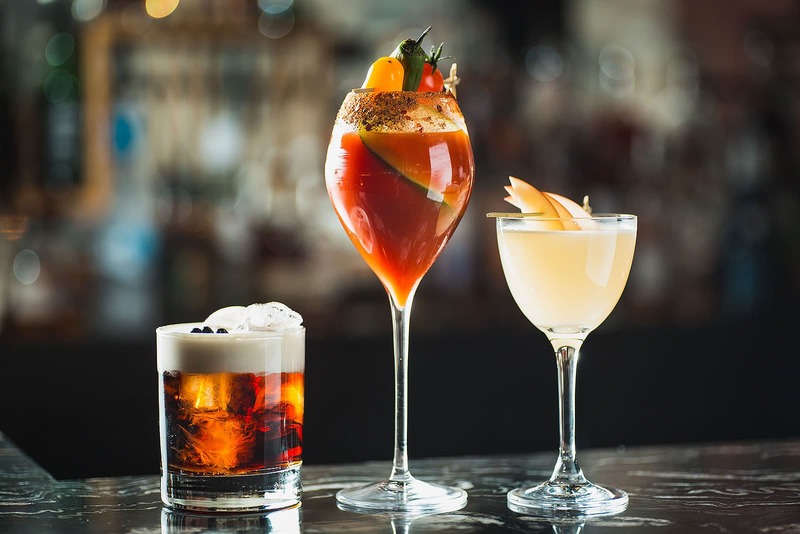 The bartenders mix cocktails perfect for elegant but relaxed socialising at the bar. 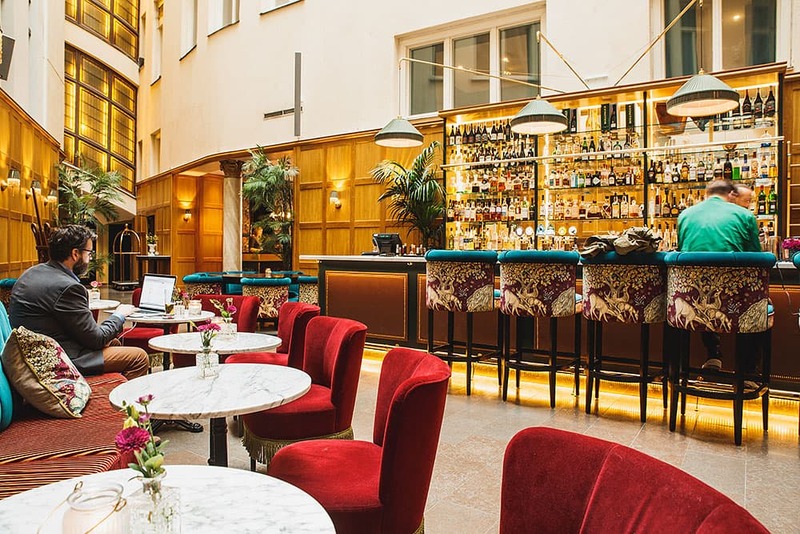 Our guide to the best cocktail bars in Stockholm is updated continuously. 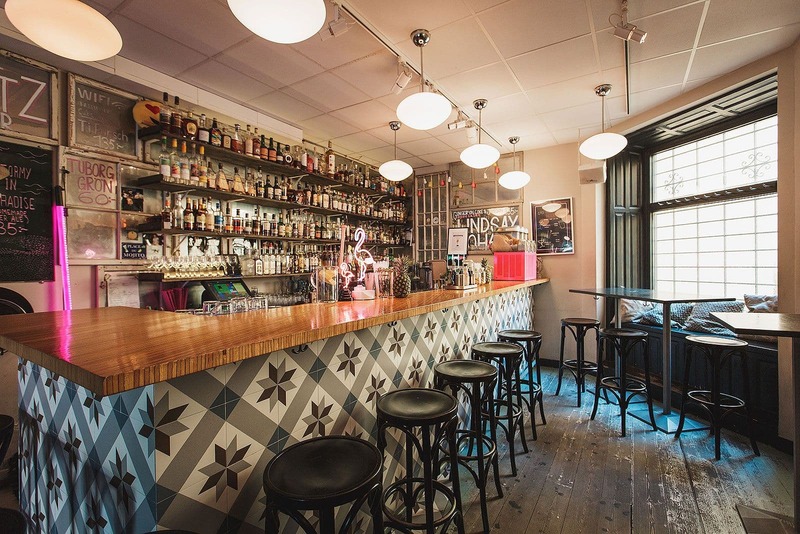 Feel free to email us at hello@thatsup.se if you feel that we should add a bar in Stockholm to our guide. 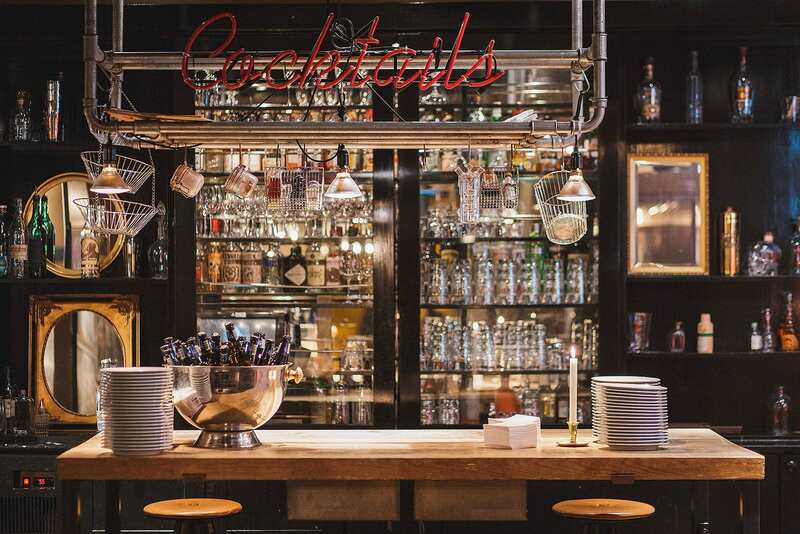 Please let us know if you see any mistakes in our guide to the best cocktail bars in Stockholm. 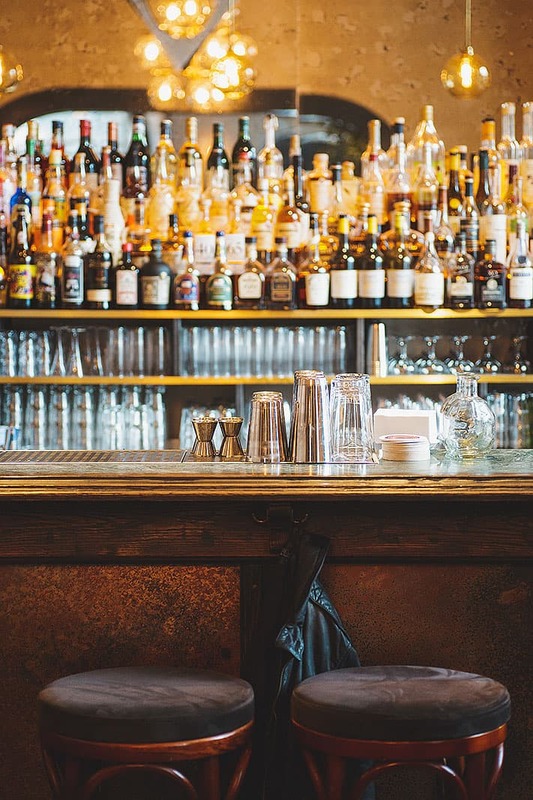 Otherwise enjoy your visit to bar of your choice.